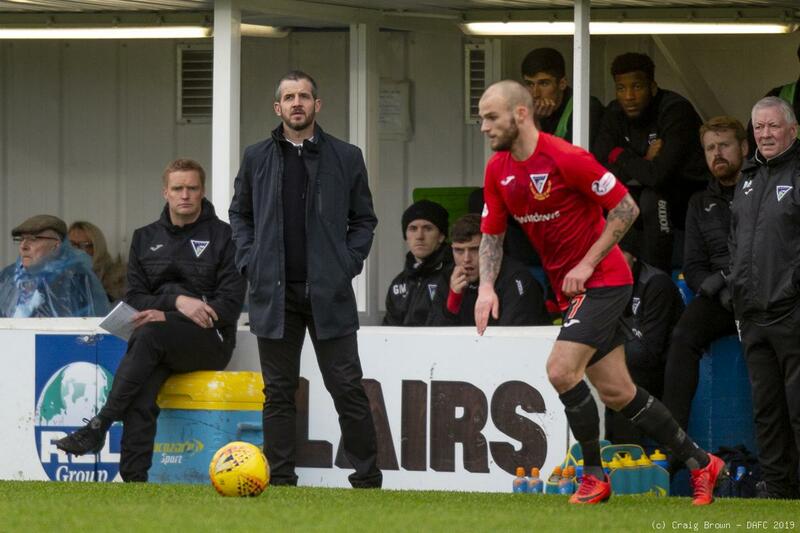 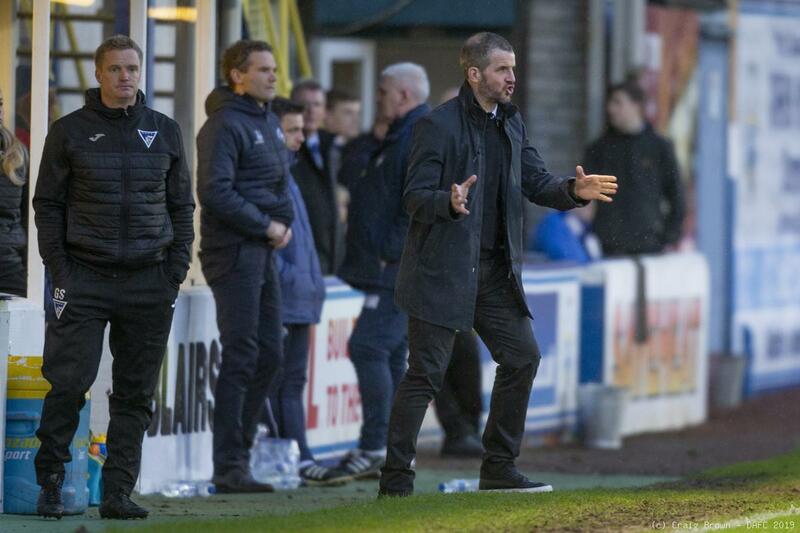 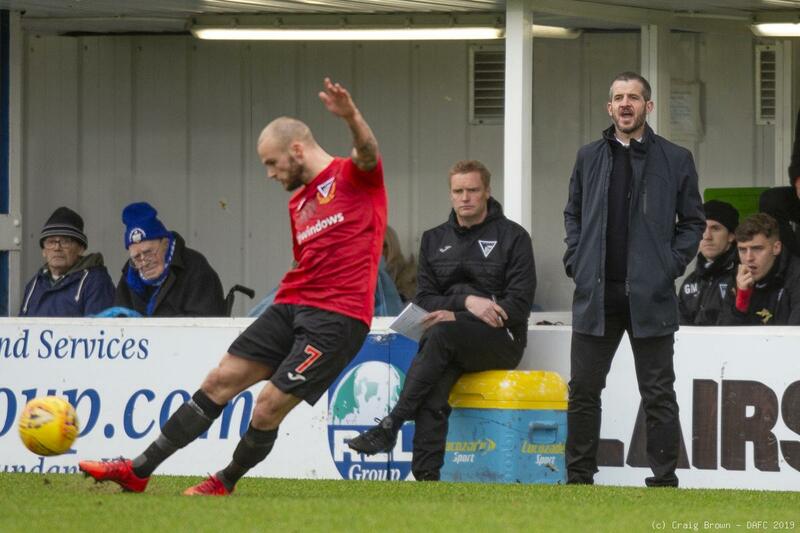 Stevie Crawford’s third match in charge brought him his first point as Pars boss. 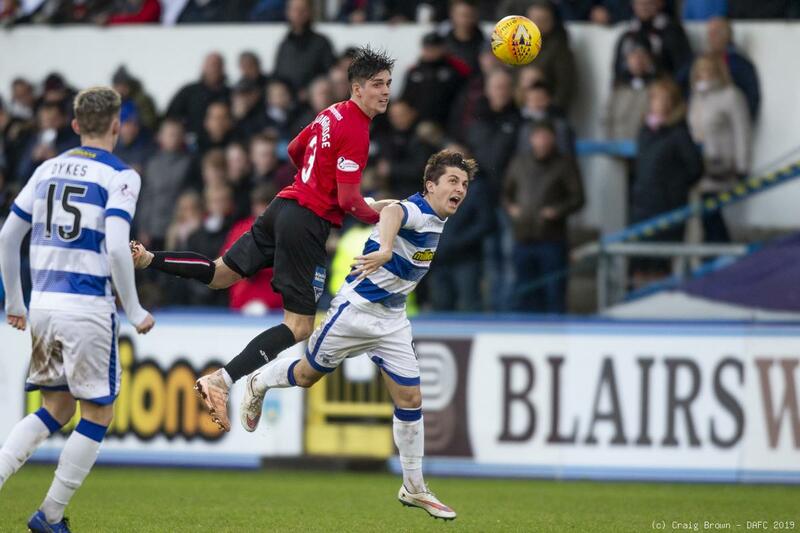 It was not a memorable match but not losing goals is the foundation of victories, so at least that bit is right. 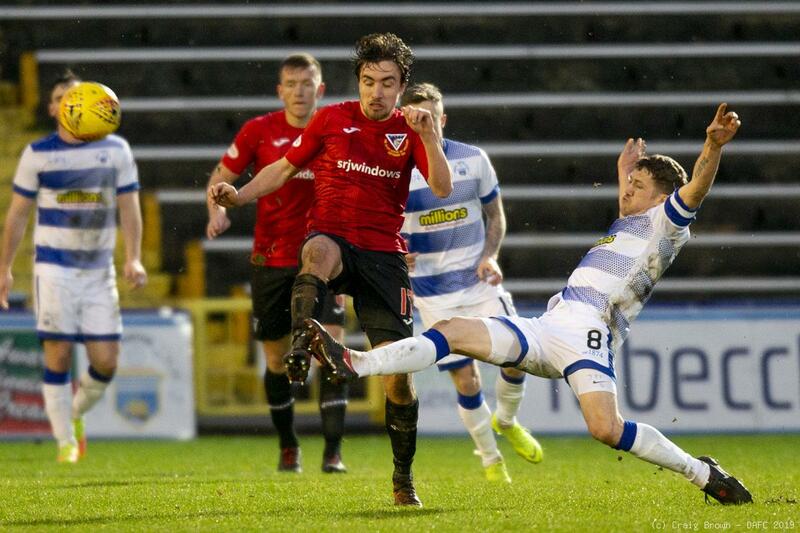 Both clubs had suffered Scottish Cup knock out the previous Saturday and were out to recover from those lows. 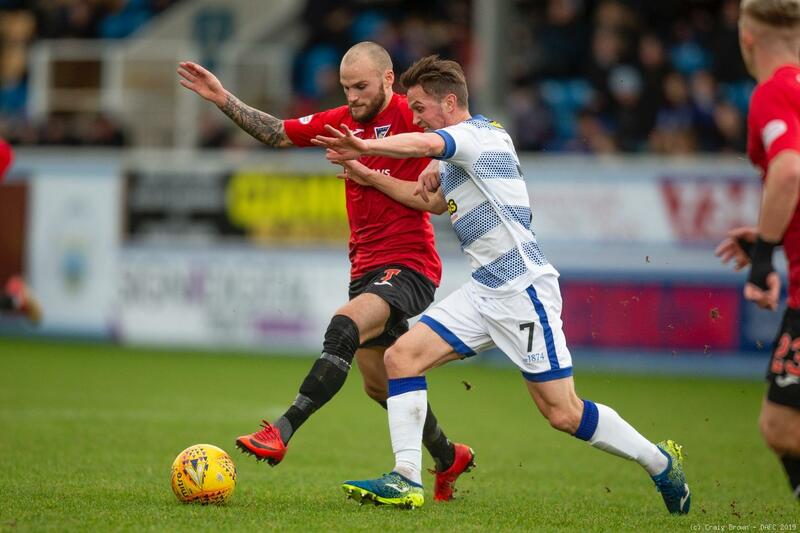 Despite Morton winning two of their last three league matches, the Pars arrived at Cappielow as the bookmakers evens favourites to win. 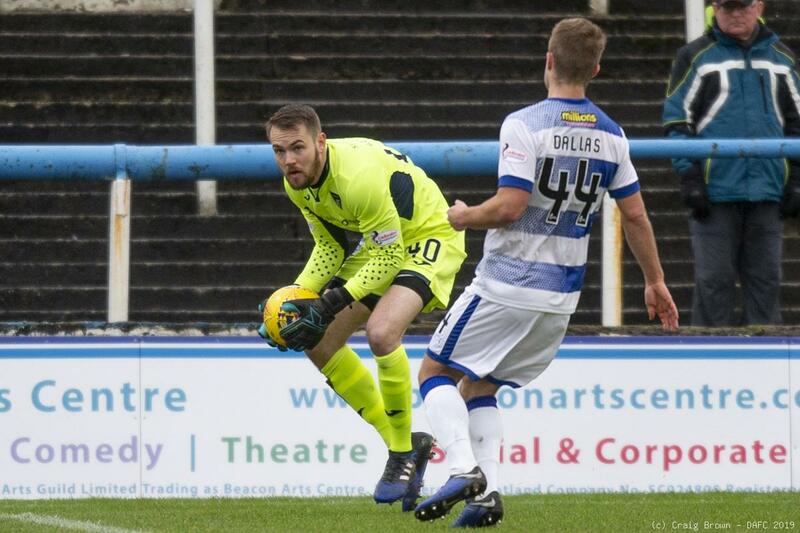 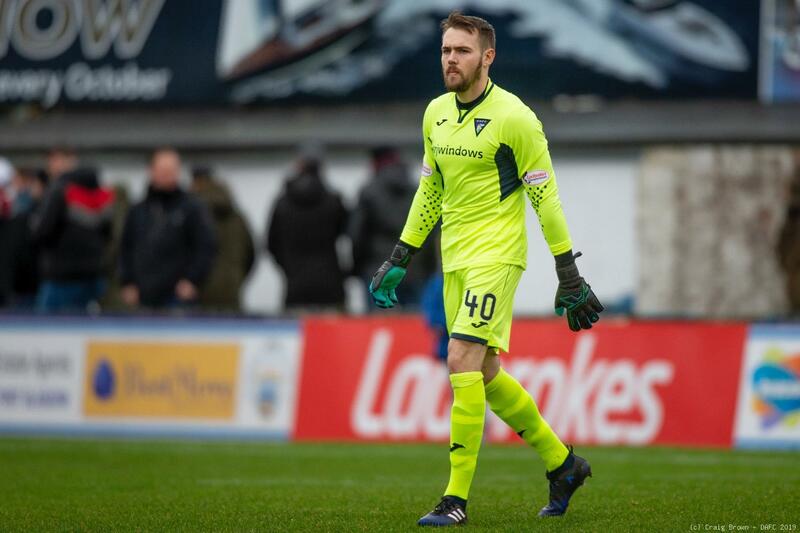 Goalkeeper Ryan Scully had moved from Morton to Dunfermline in midweek and the Greenock side had moved quickly to bring in Scotland Under 21 cap, Robby McCrorie on loan from Rangers along with 19 year old striker Andrew Dallas. 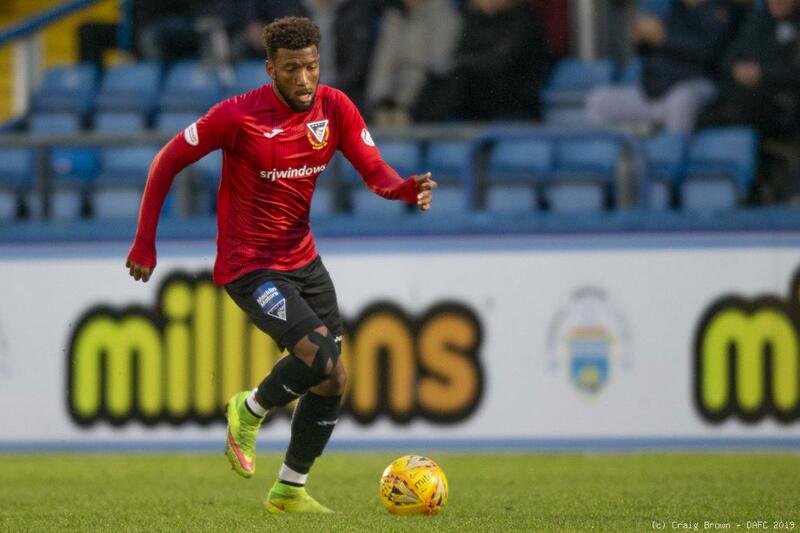 All the new players started with Stevie Crawford making one other change, Callum Smith being preferred to Myles Hippolyte. 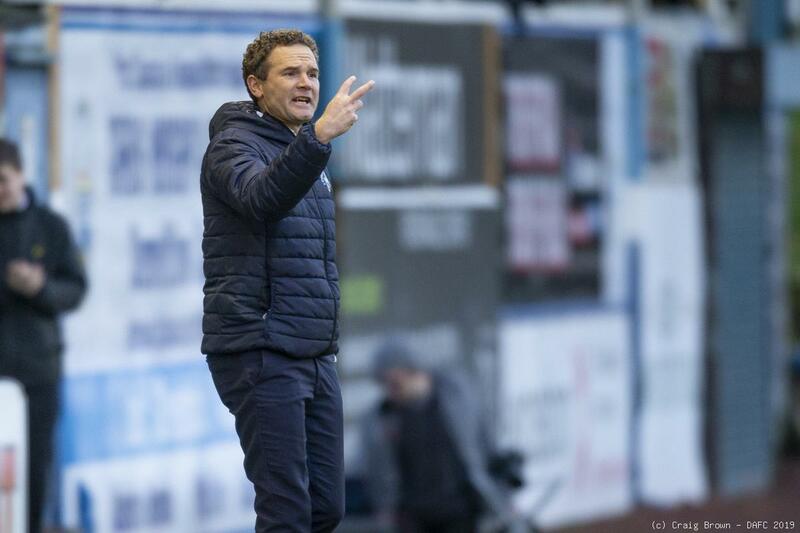 Jonatan Johansson brought back in skipper Jim McAllister and Charlie Telfer. 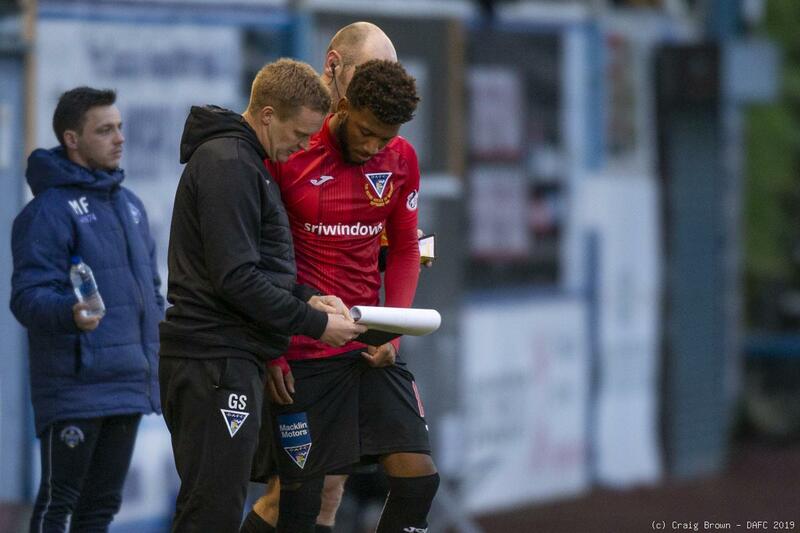 Derek Gaston, Kerr Waddell, Robert Thomson and Michael Tidser dropped to the bench. 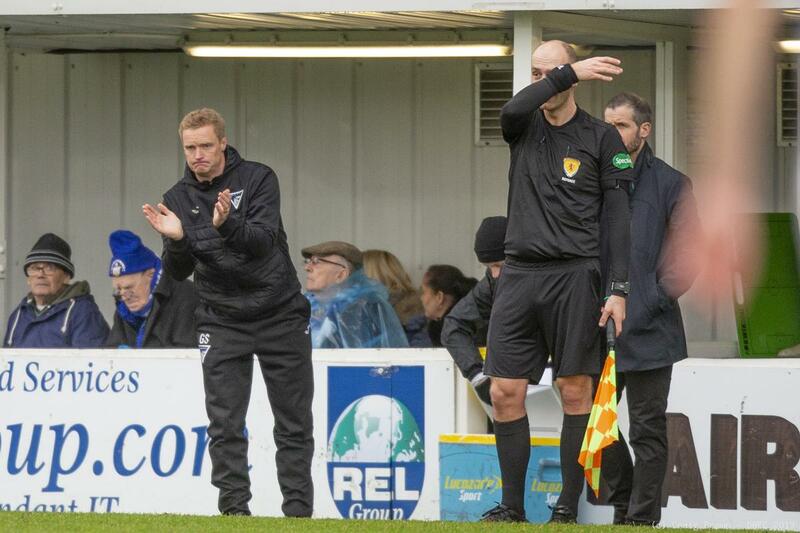 Pre match there was a presentation to Jim McAlister who made his 300th appearance for Morton the previous week. 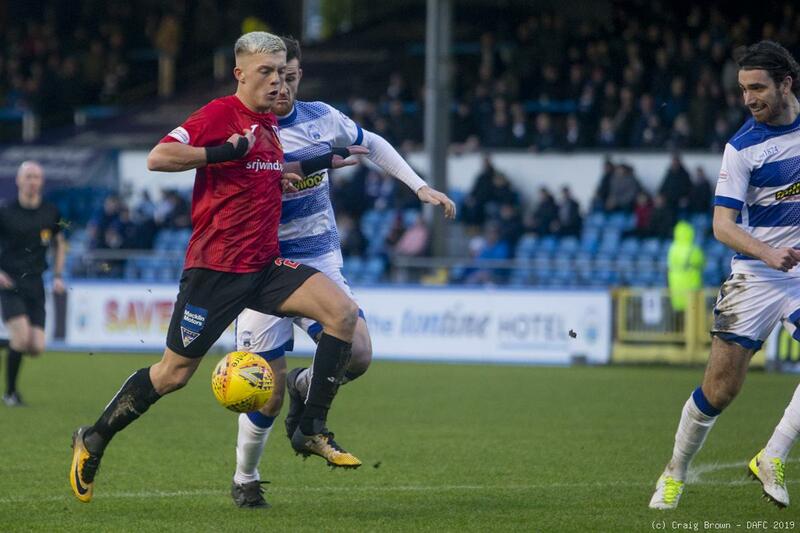 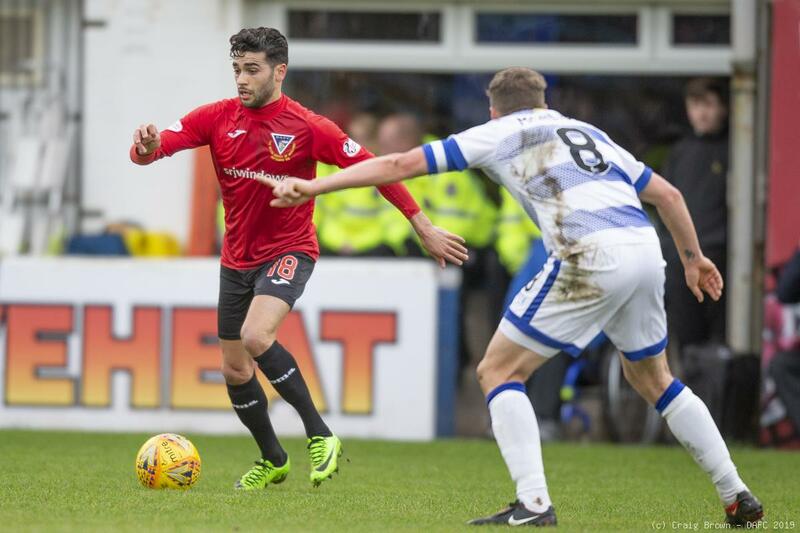 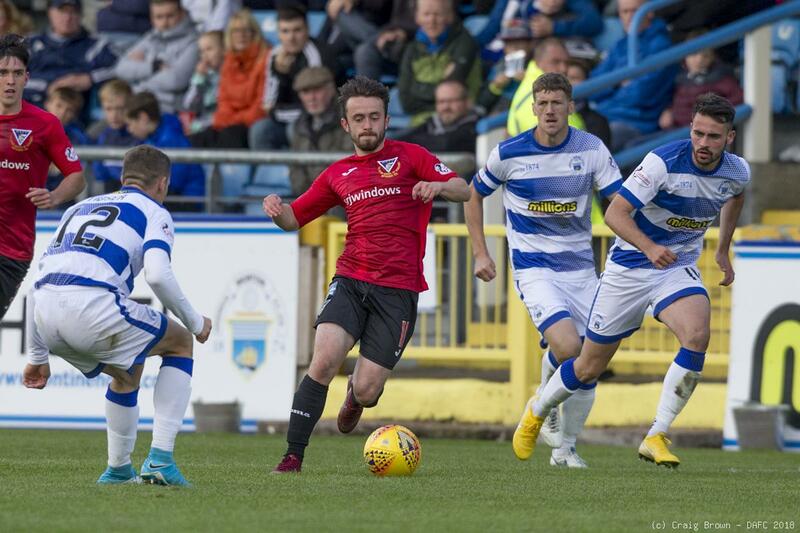 The home side kicked off against a Dunfermline team dressed in red shirts and black shorts. 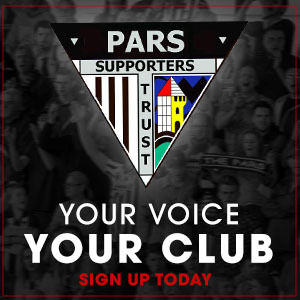 The Pars were attacking the goal at the open west end and within two minutes it was there that Kallum Higginbotham’s return of a strong James Craigen cross, set up the first chance but there was no one there to convert. 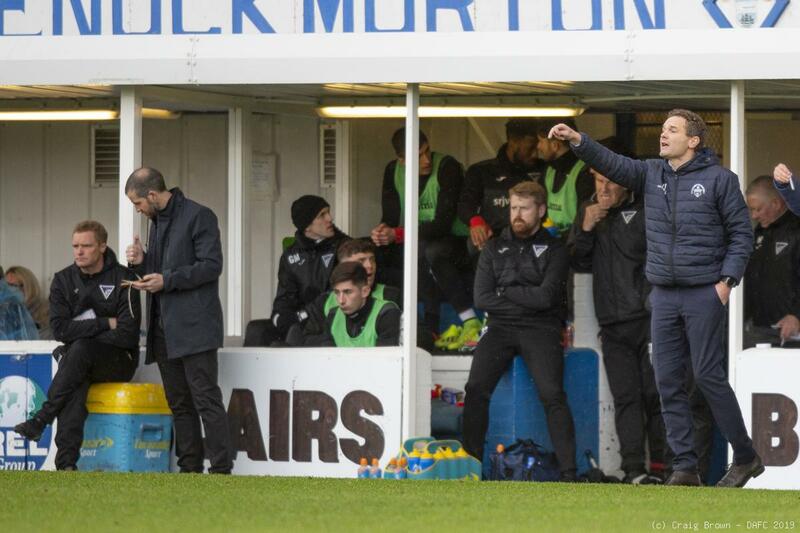 The Fifers enjoyed much of the early play until Morton’s first chance came in eighth minute. 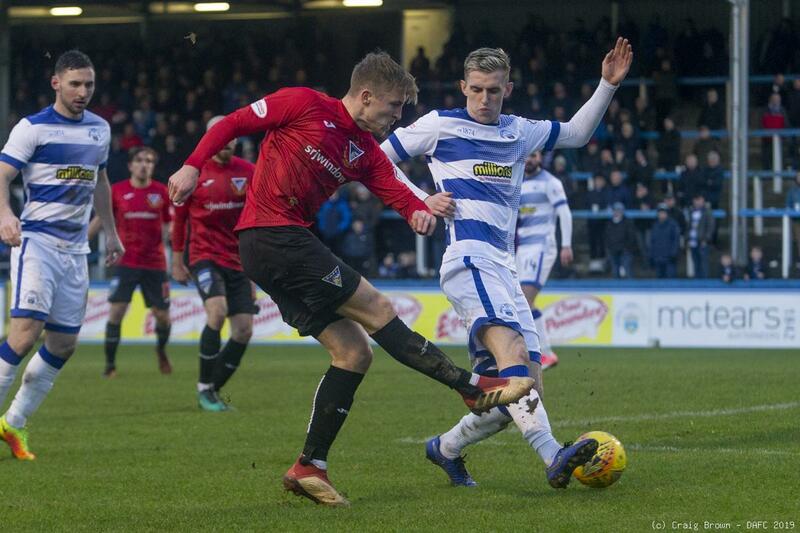 Bob McHugh back to goal held the ball up in the Pars box to feed Dylan Dykes a shooting opportunity and the 22 year old’s shot from 25 yards was deflected wide as it travelled dangerously into the penalty box. 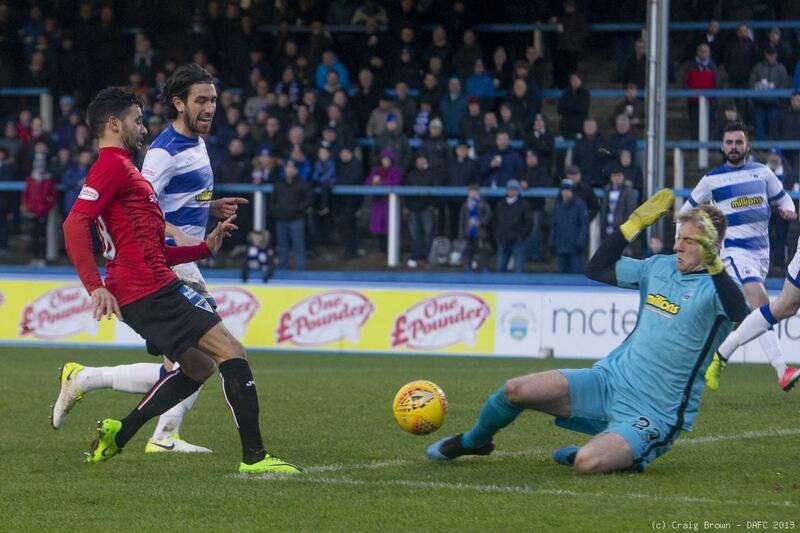 Two minutes later it was McHugh who got the chance to shoot but from 15 yards he blazed his effort over the crossbar. 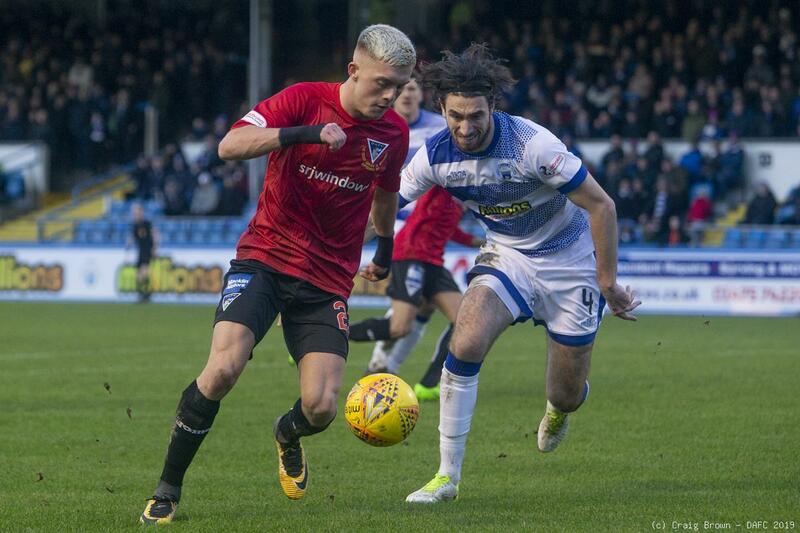 Dunfermline responded with a Craigen cross in 15 minutes which Faissal El Bakhtaoui headed goalwards but into hands of McCrorie. 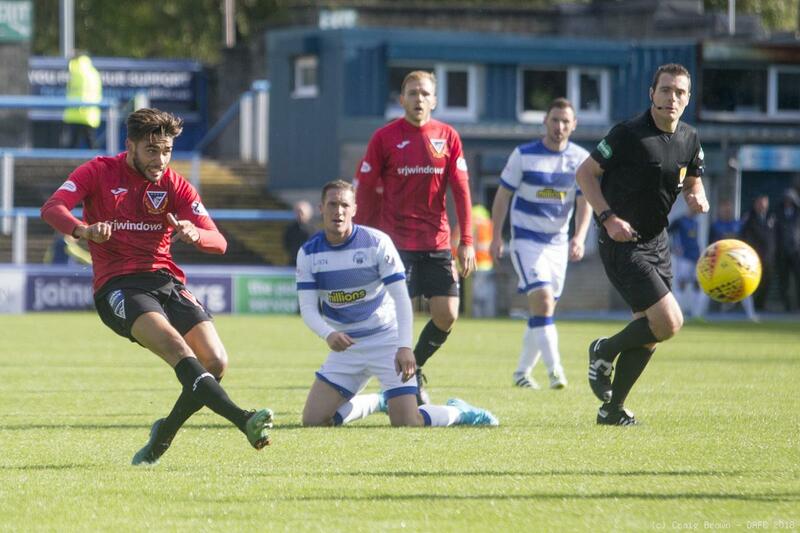 Jackson Longridge followed on to that a cross from the left that El Bakhtaoui could only earn a corner from. 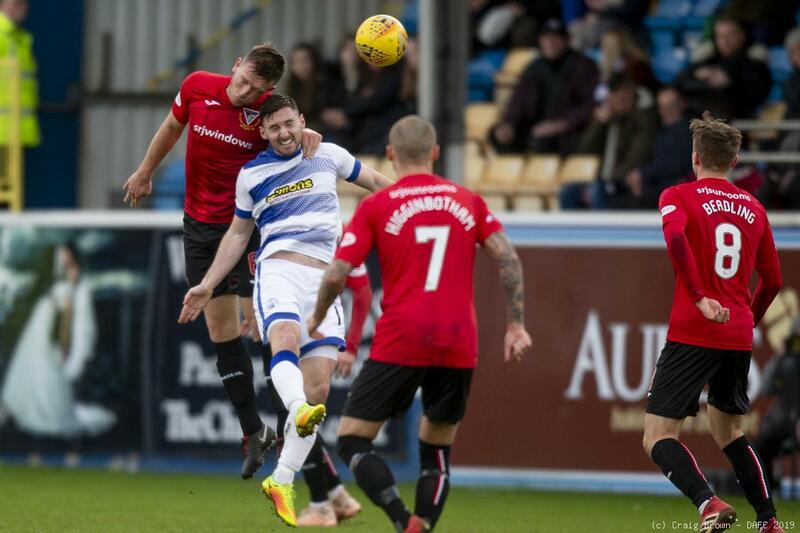 Higginbotham hit the setpiece long and El Bakhtaoui tried to get on the end of Longridge’s return from the right but Morton kept their opponents out. 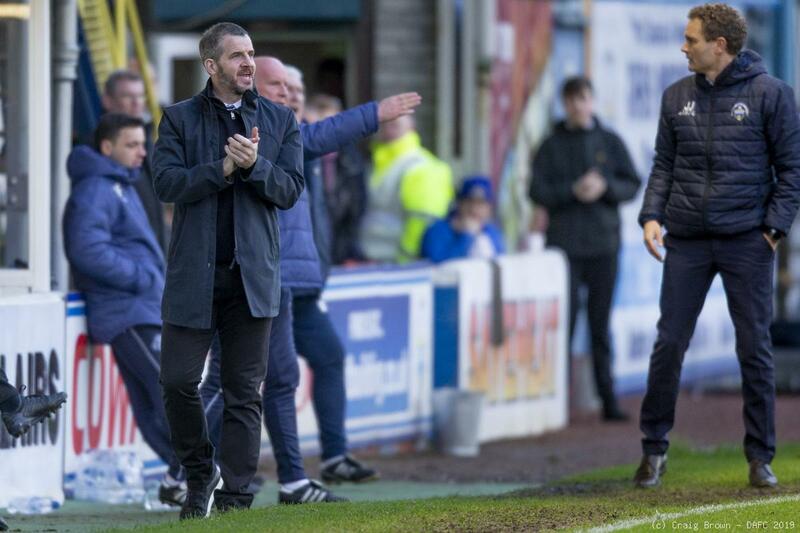 Showing great patience the Ton created a good chance for Dykes but he fired off target to the left. 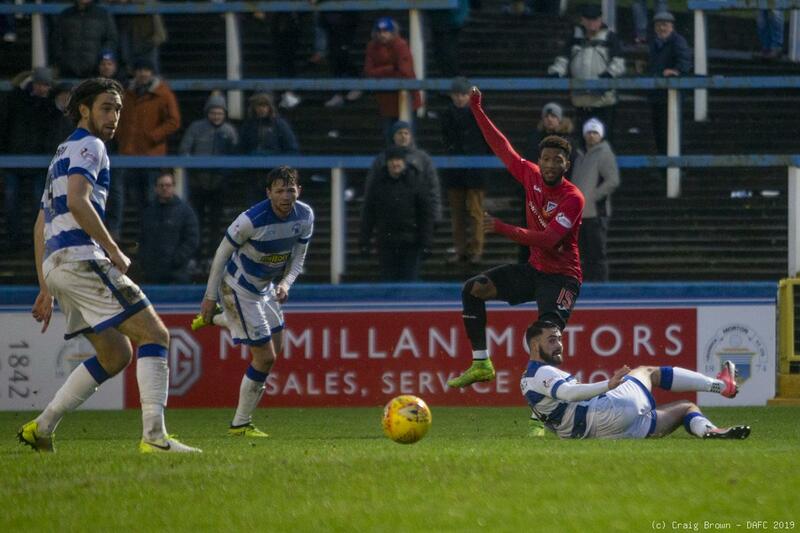 Then Dallas got a good effort in from 15 yards out, powering his 21st minute attempt over the bar. 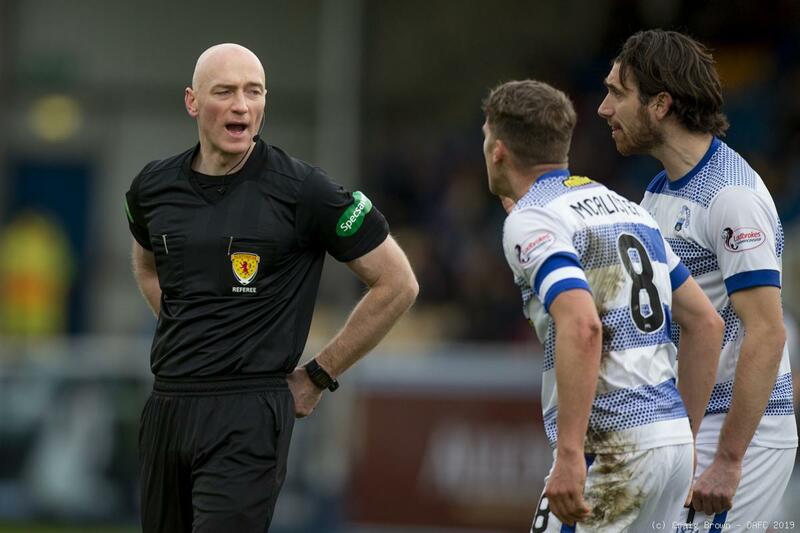 Referee Alan Newlands decision to award a free kick on the edge of the home box for Buchanan’s challenge on Higginbotham was unpopular with the home crowd. 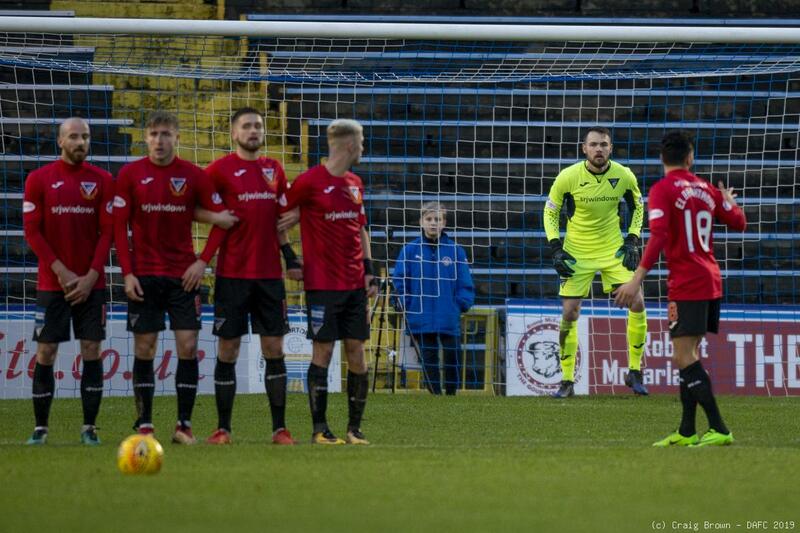 From the free kick Higginbotham lobbed the ball over to the far side of the box but was intercepted before Danny Devine could meet it. 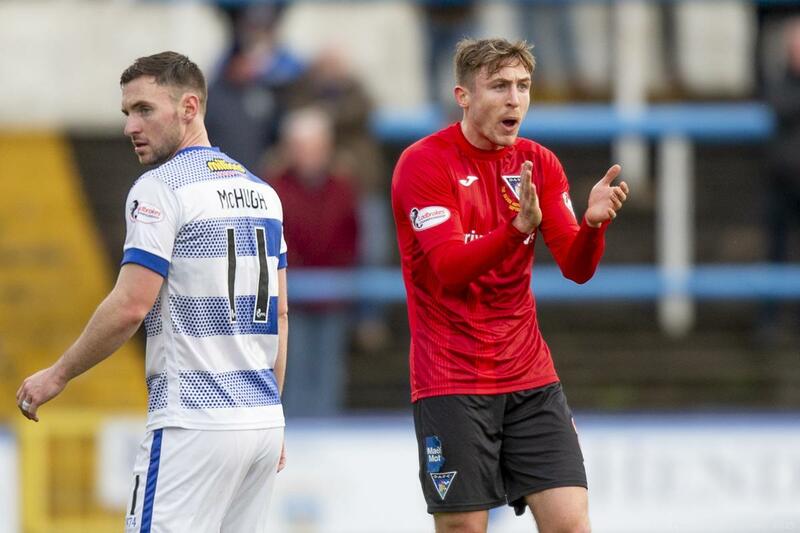 Another free kick in 28 minutes when James Vincent was the victim, allowed Higginbotham to direct another ball into the Morton box but it was too low and easily cleared. 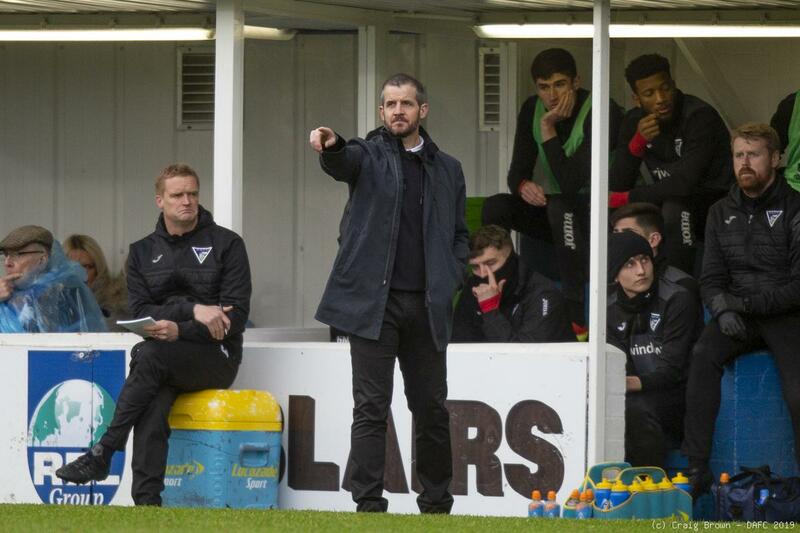 A Pars corner on the half hour renewed optimism but was too easily defended. 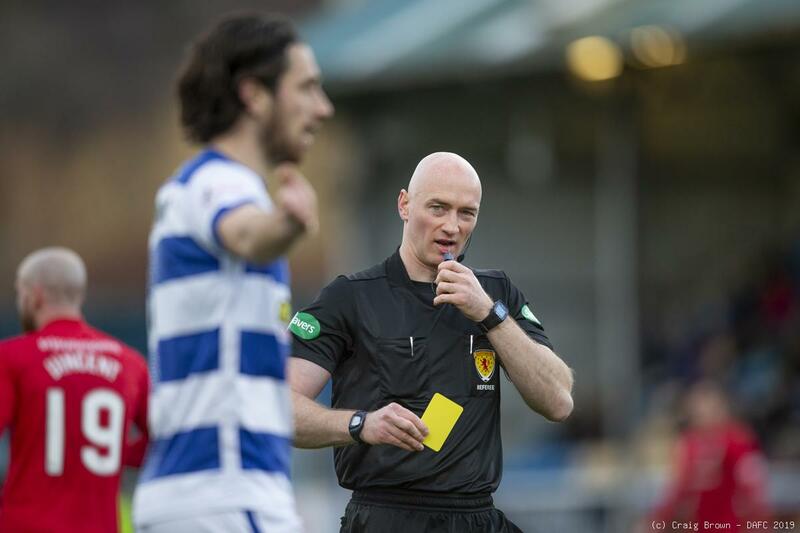 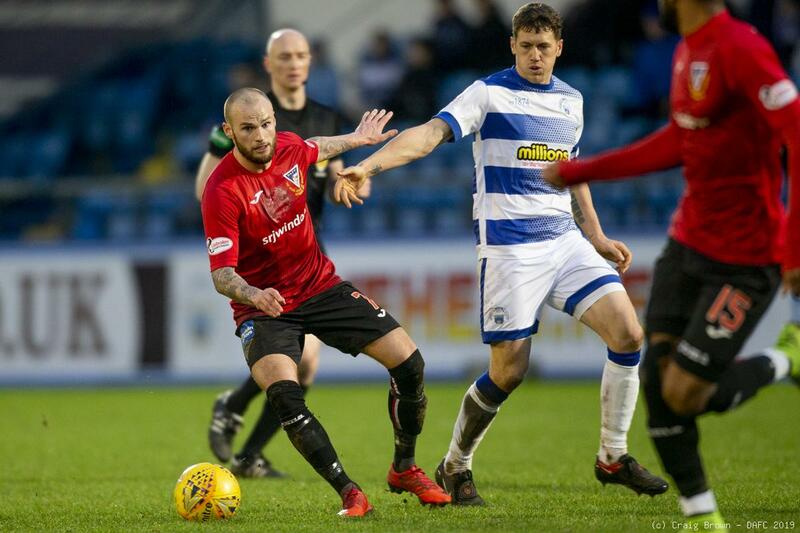 Former Par Gregor Buchanan collected the first yellow card of the game when he cut down El Bakhtaoui on the right side 15 yards out. 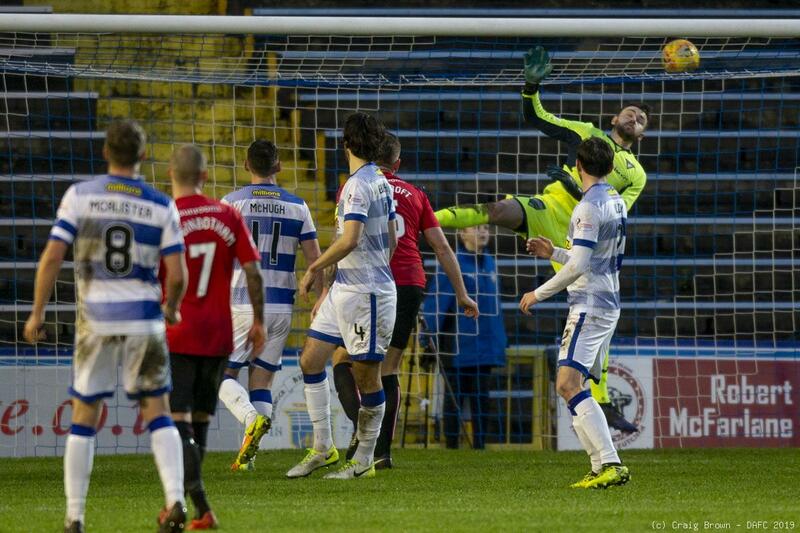 Higginbotham sent the setpiece into the six yard box but against the threat was cleared. 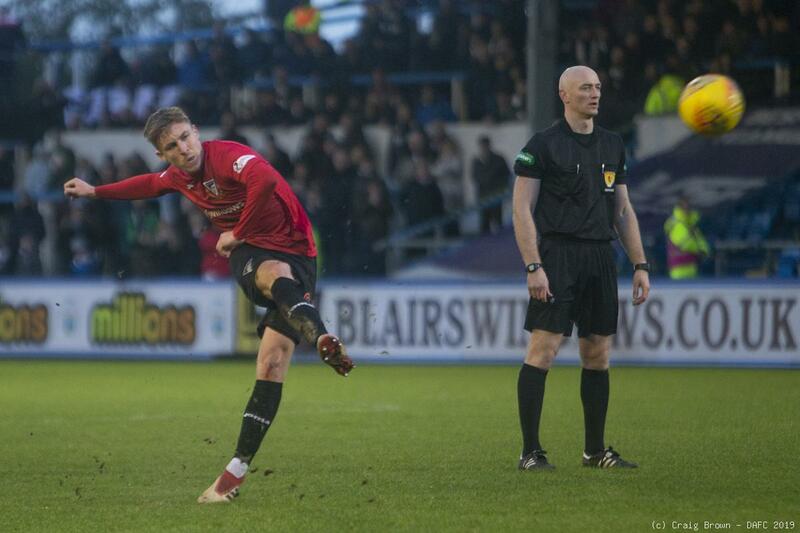 Craigen got forward to drive a low shot but from the edge of the box was off target right. 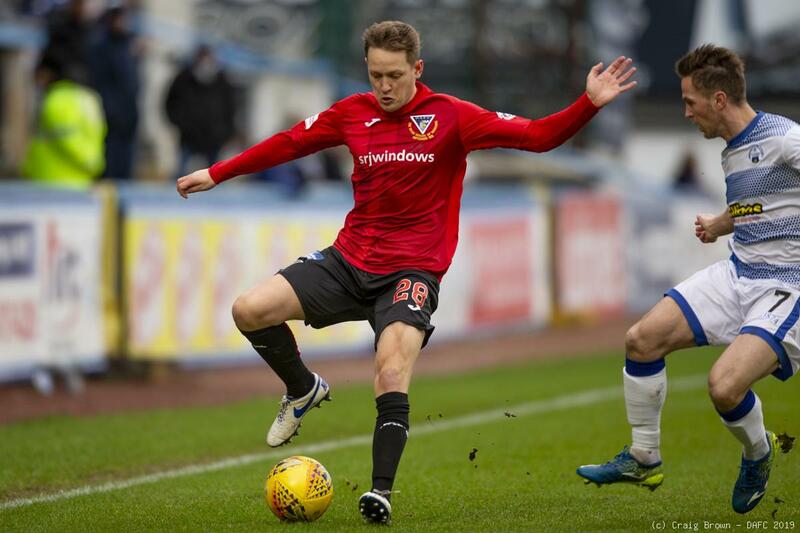 As the interval approached McCrorie gathered a good low cross from Longridge before El Bakhtaoui was twice caught offside when in promising positions. 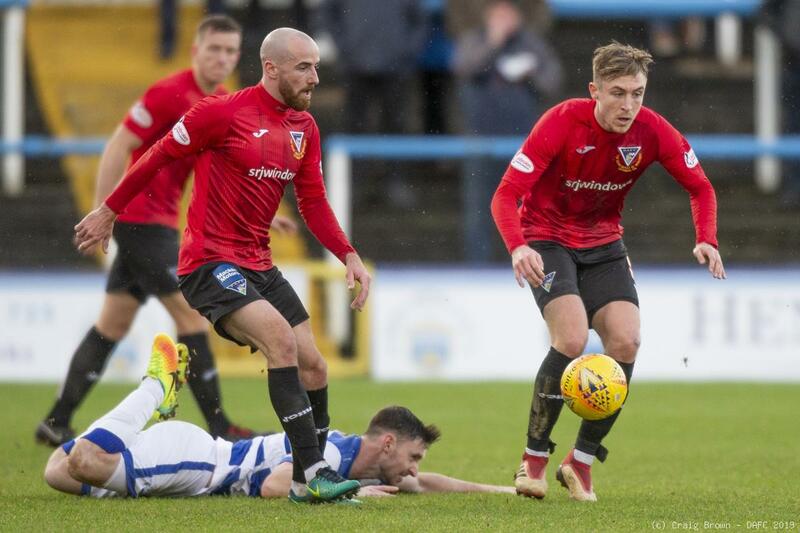 The first half stats showed 55% Pars possession but it’s goals that count and so far none of these. 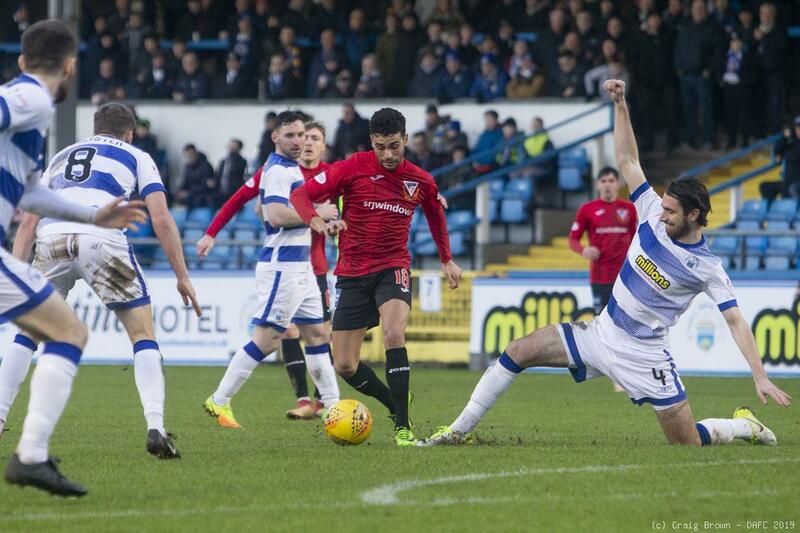 El Bakhtaoui was first to try a shot in the second half but his 49th minute shot was wide. 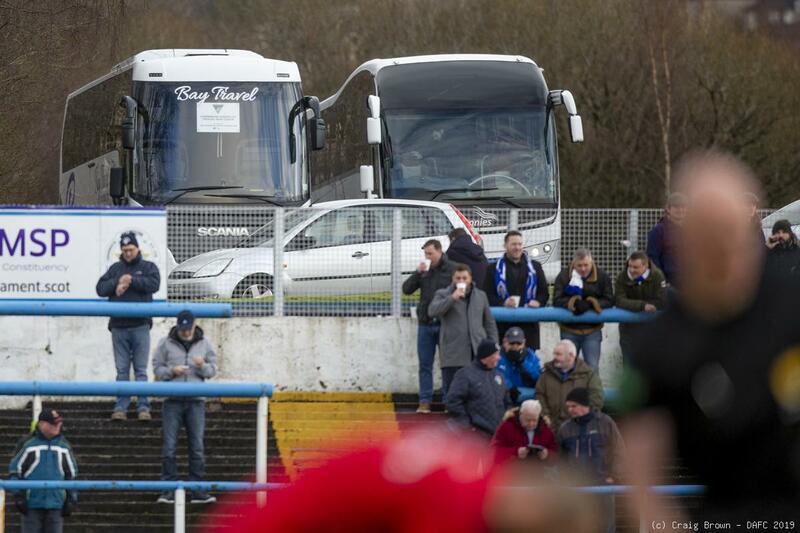 Immediately he got another good chance when Higginbotham drove through the middle. 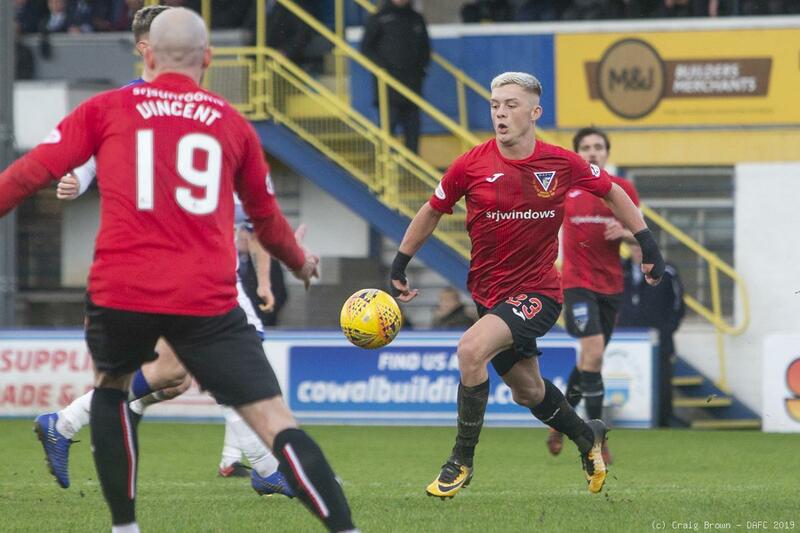 The striker was not able to get his effort in quick enough and McCrorie came out to beat away the shot from 12 yards out. 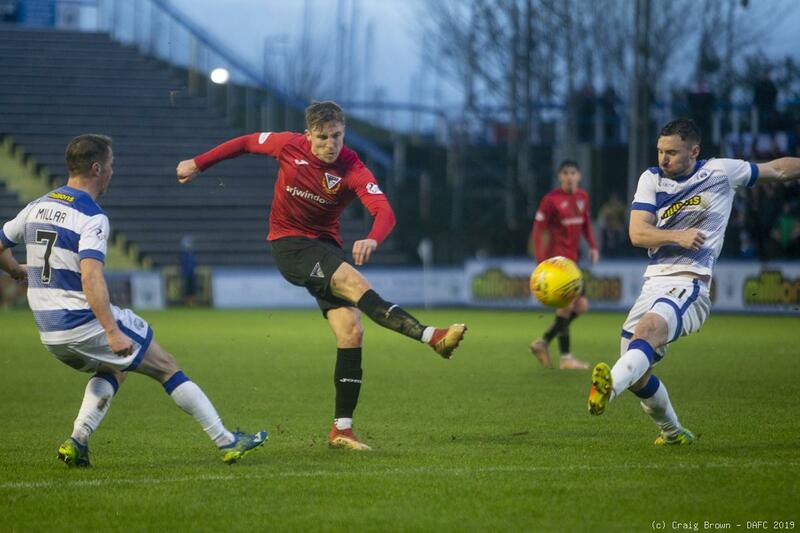 A 53rd minute clearance from Scully saw Smith latch on to possession on the edge of the Ton box. 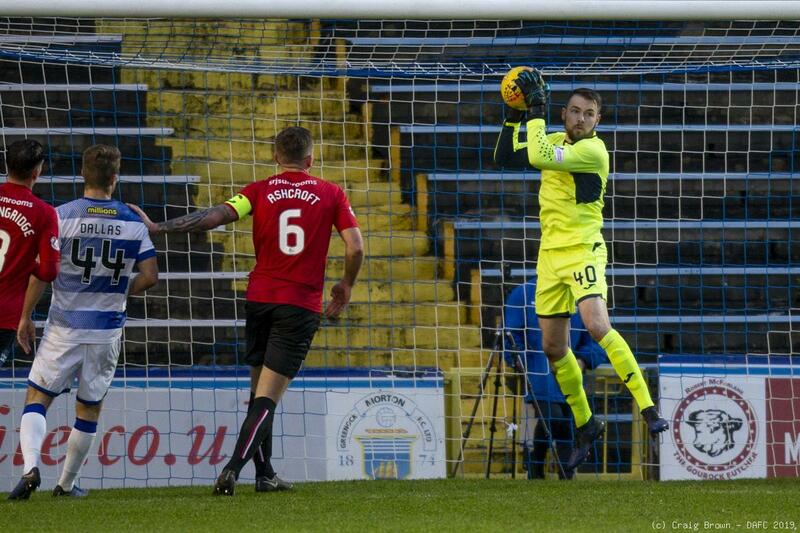 Higginbotham took charge tantalising two opponents before getting a low ball into the box from the right, Tom Beadling was on the end of it but the defence blocked out his shot. 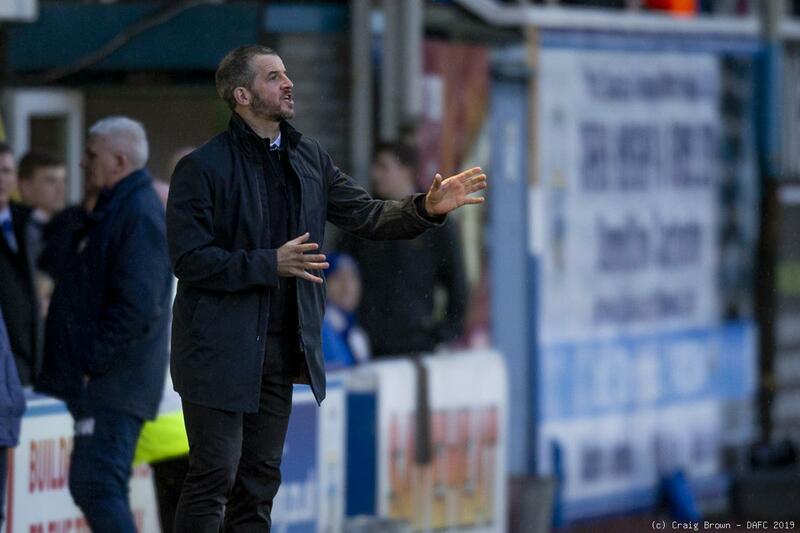 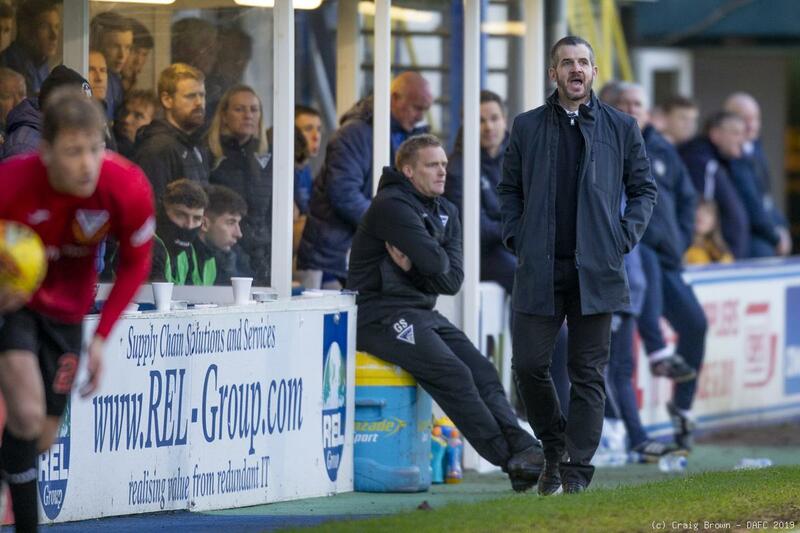 Morton’s only reply was from a free kick 30 yards out that Dykes sent over the wall and into the terracing. 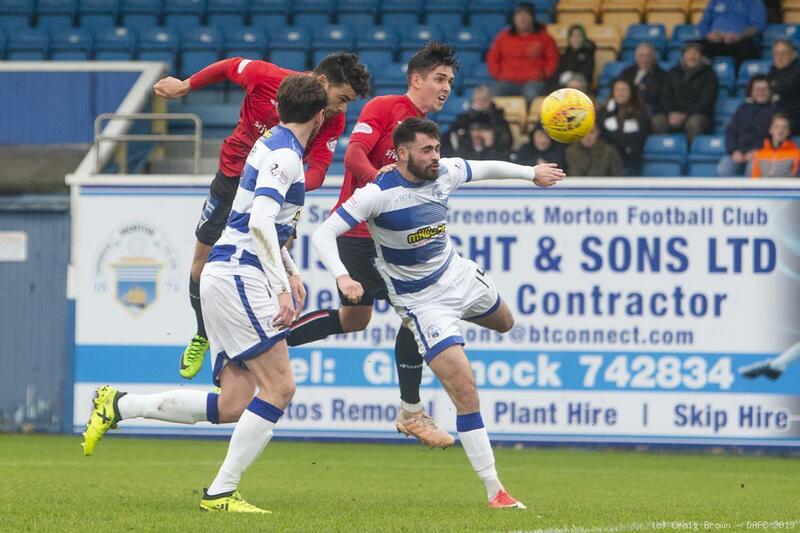 Craigen’s 61st minute cross forced a corner on the right but when Higginbotham delivered the ball over Devine’s header went to McHugh who cleared. 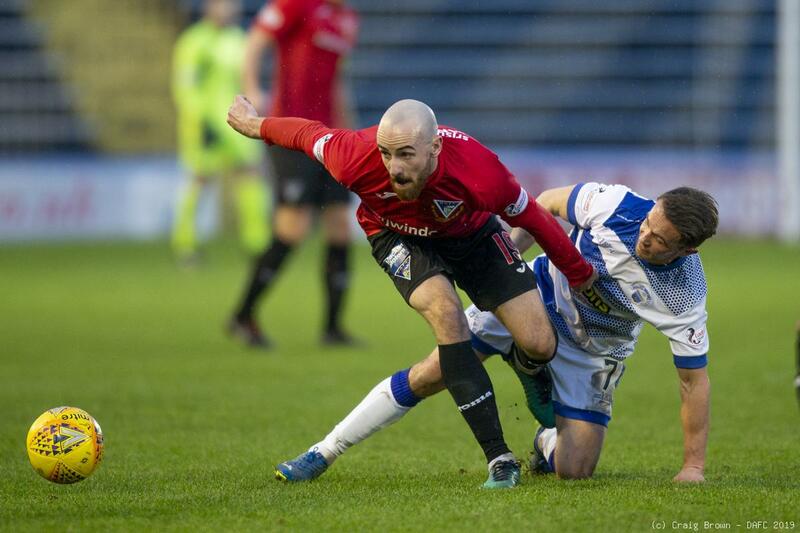 Then after McAllister caught Higginbotham late, a 65th minute free kick 26 yards out was driven over by Beadling. 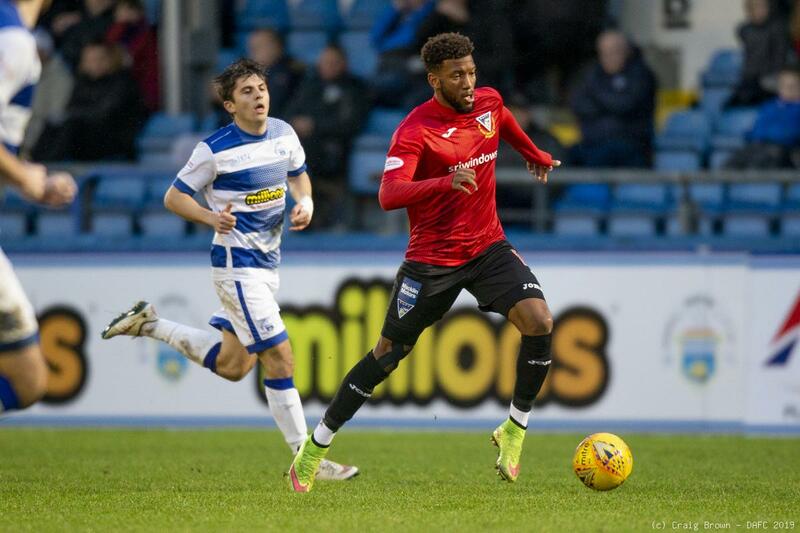 Myles Hippolyte was the first substitute of the game replacing Faissal El Bakhtaoui with 25 minutes remaining. 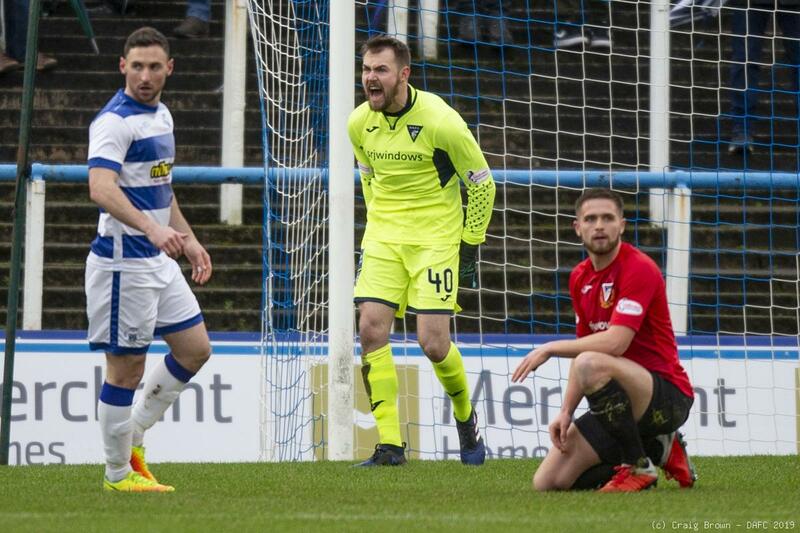 The Fifers went through a period where they were certainly on top, the big question was could they find the net. 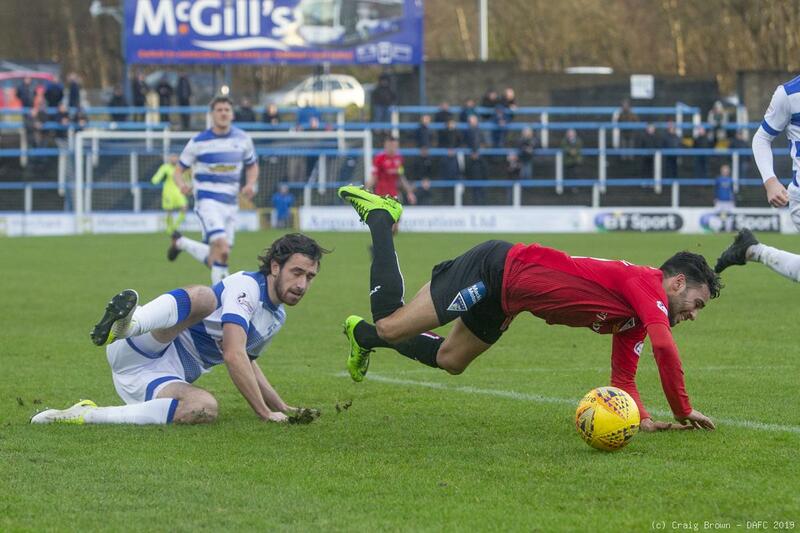 Morton’s defence contrived to assist with what would have been a bizarre own goal. 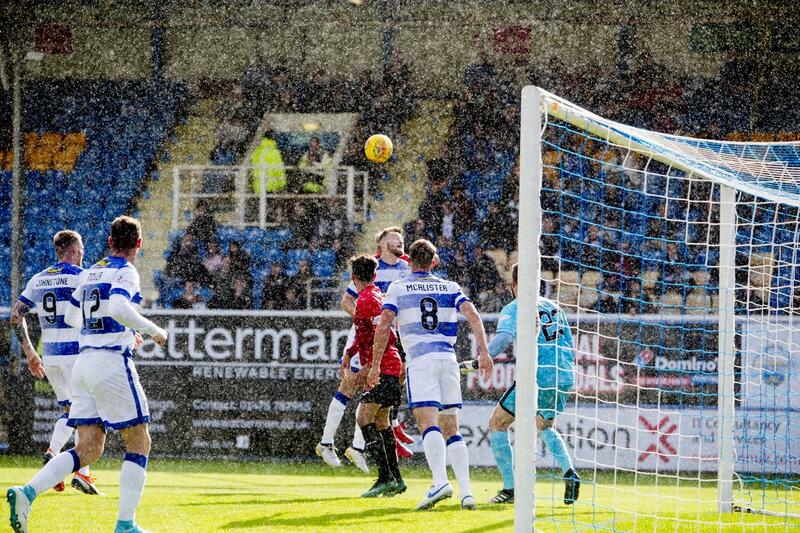 One defender blasted the ball off another and the ball looped back over the keeper to drop outside the right upright. 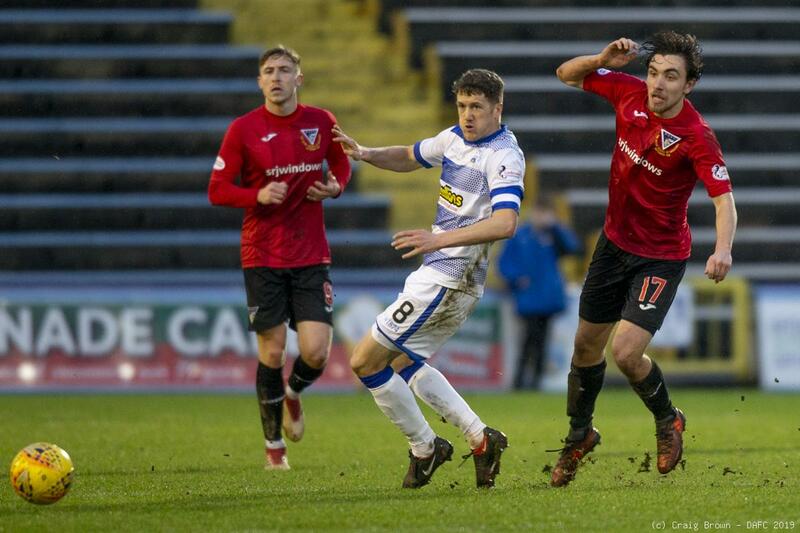 From the corner Smith met Higginbotham’s cross at the far post but could only direct the ball wide. 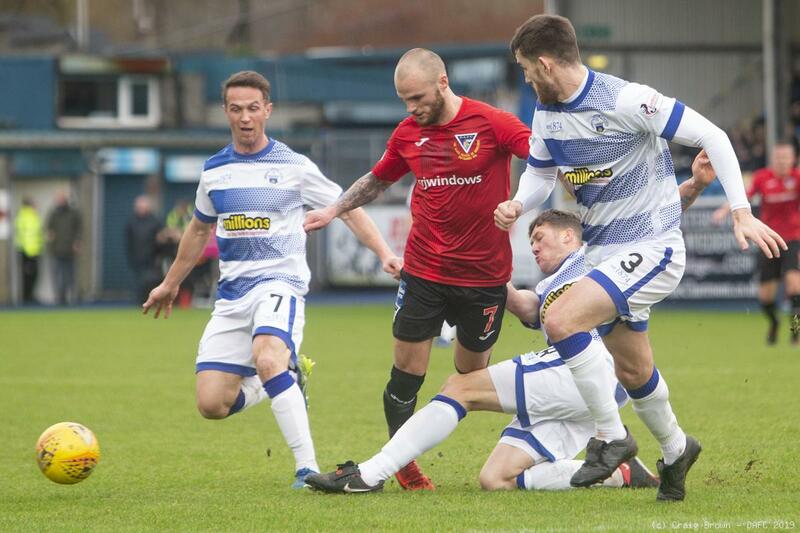 Morton woke up and McAllister drove against Devine and Millar executed a dangerous ball into the six yard box that Scully did well to get away. 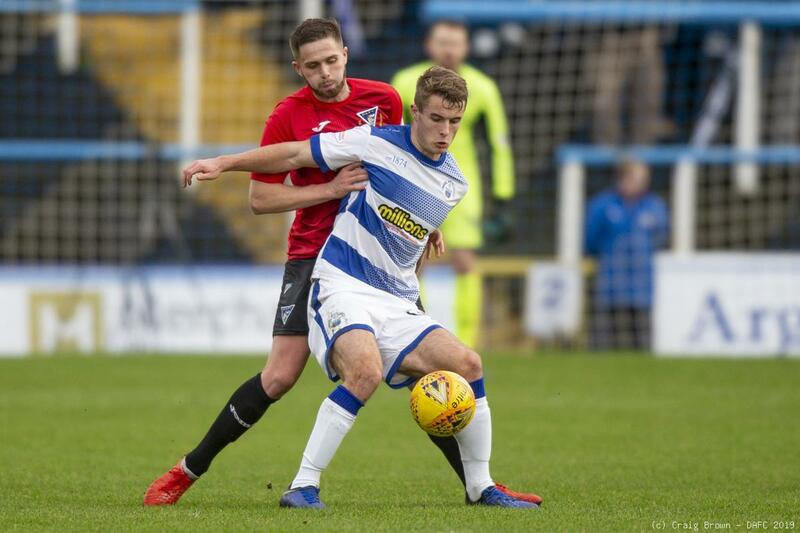 The home support had been crying out for Michael Tidser and in 76 minutes they got their wish as Charlie Telfer was withdrawn. 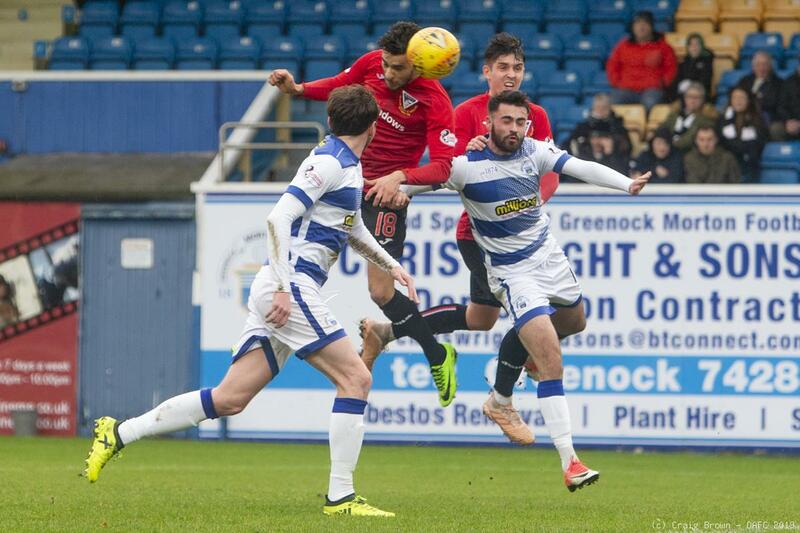 The sub won and delivered from an 83rd minute free kick but the defence cleared. 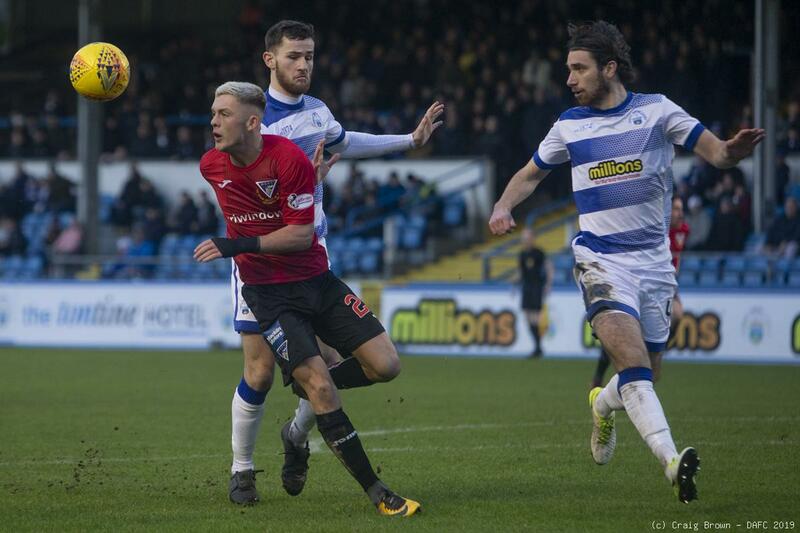 Next however Millar cut inside and screamed a right footed effort narrowly over Scully’s bar. 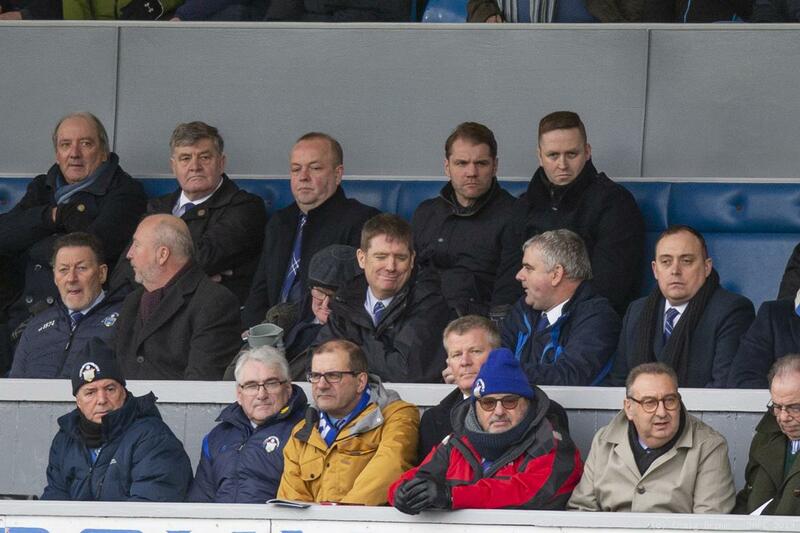 Back at the other end Higginbotham was looking the most likely. 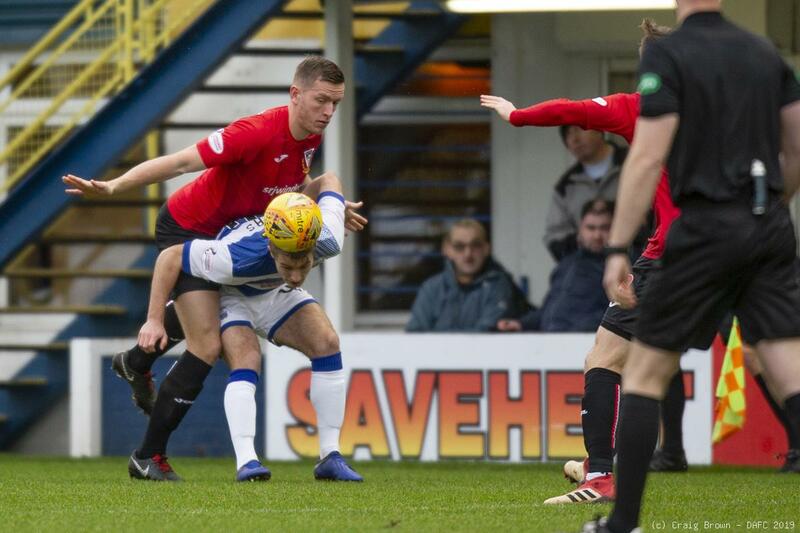 He fed Hippolyte a chance that was hit well wide and then McAllister had to dive in to block a stern effort from 30 yards out by Higgy. 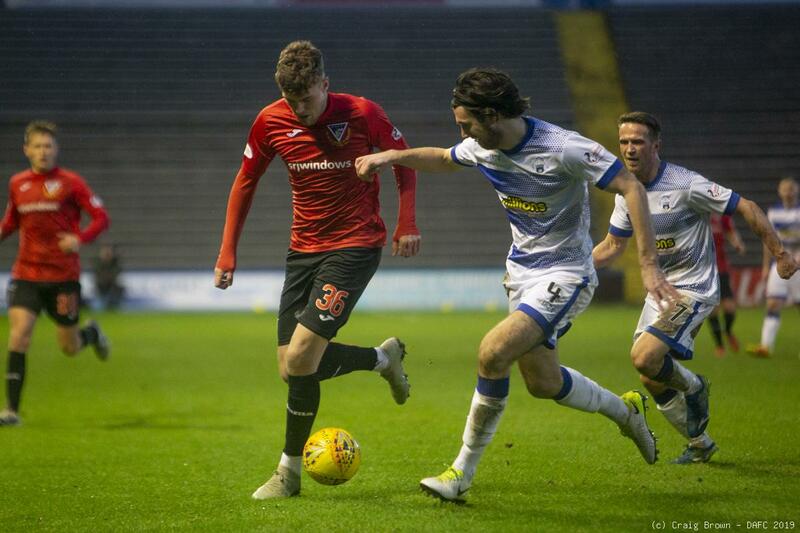 Robbie Muirhead came on for Callum Smith in 88 minutes before Scully scooped away a Tidser free kick. 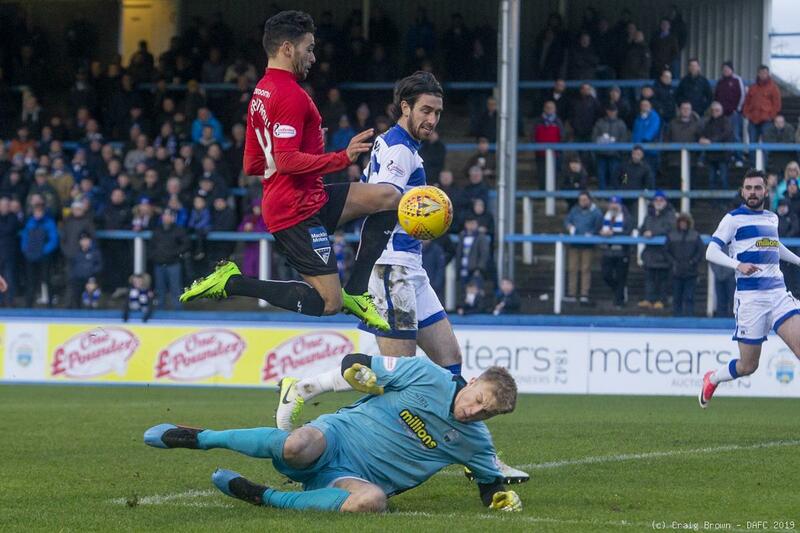 It was not a 0-0 that could be described as exciting but it was a point to take back to Fife. 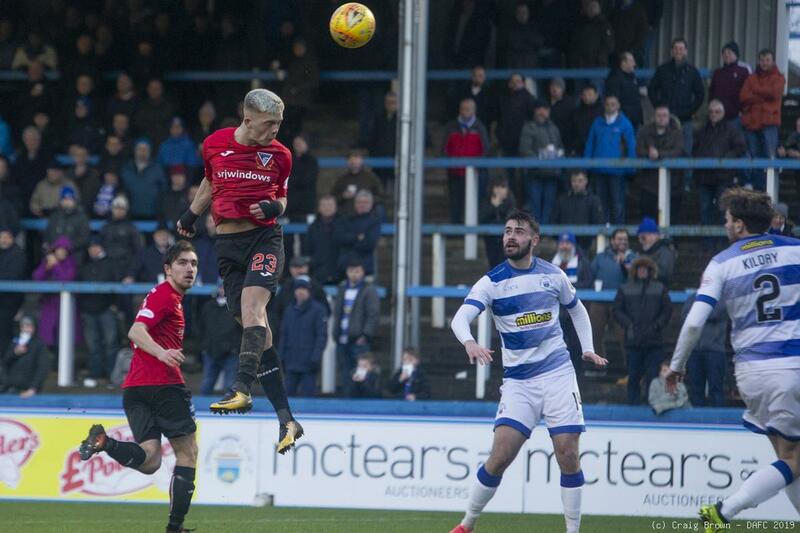 MORTON: Robby McCrorie: Reghan Tumility, Lee Kilday, Gregor Buchanan, Jack Iredale: Charlie Telfer (Michael Tidser 76), Jim McAlister, Dylan Dykes, Chris Millar: Andrew Dallas (Gary Oliver 82), Bob McHugh. 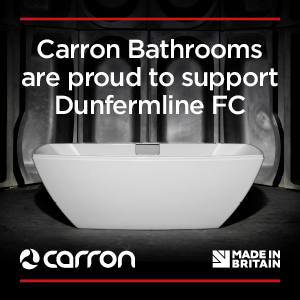 SUBS NOT USED: Robert Thomson, Kerr Waddell, Darren Hynes, Reece Lyon, Derek Gaston (GK). 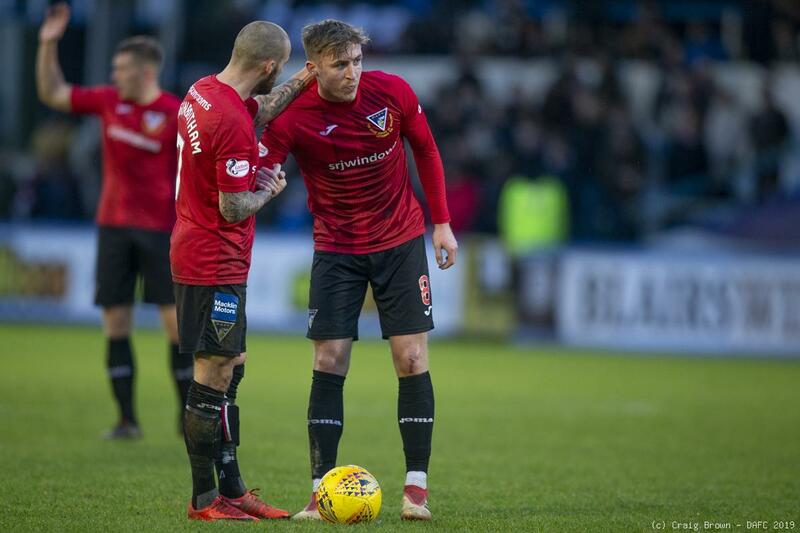 DUNFERMLINE: Ryan Scully: James Craigen, Lee Ashcroft (c), Danny Devine, Jackson Longridge: Tom Beadling: Joe Thomson, James Vincent, Kallum Higginbotham: Callum Smith (Robbie Muirhead 88), Faissal El Bakhtaoui (Myles Hippolyte 65). 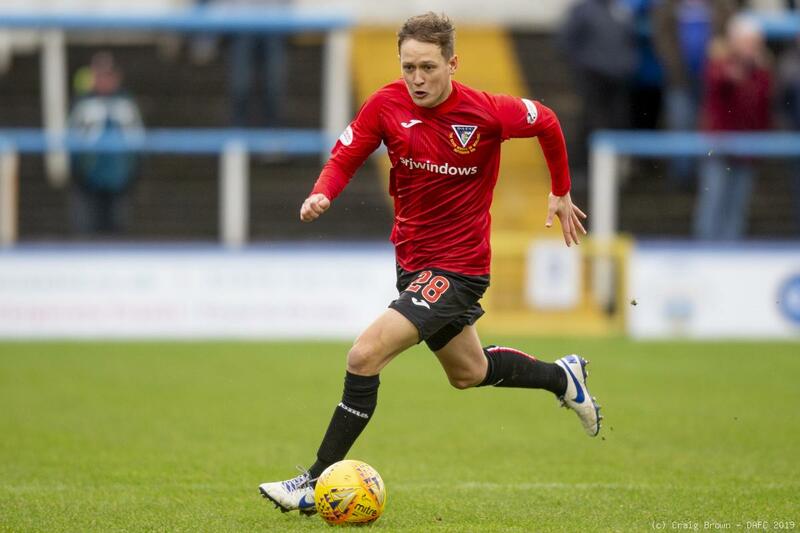 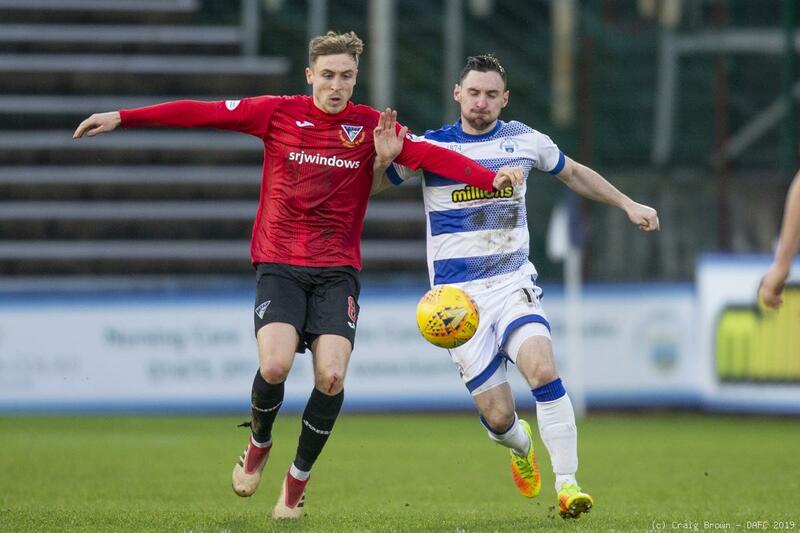 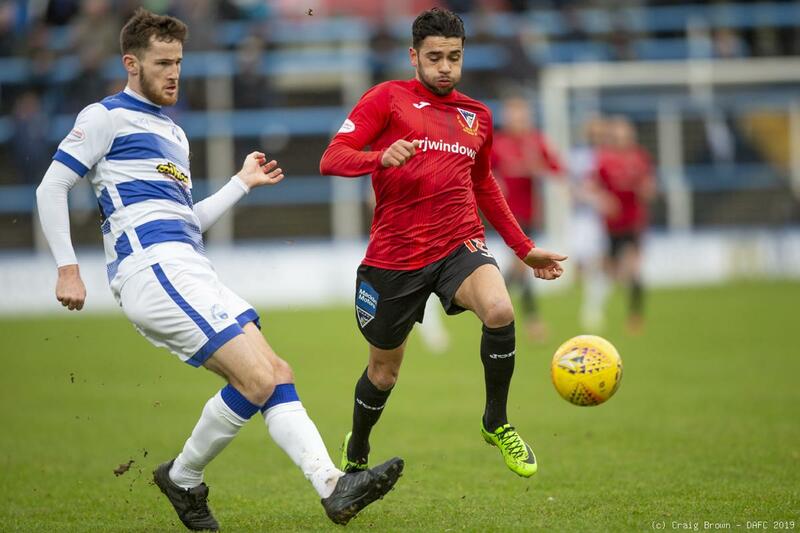 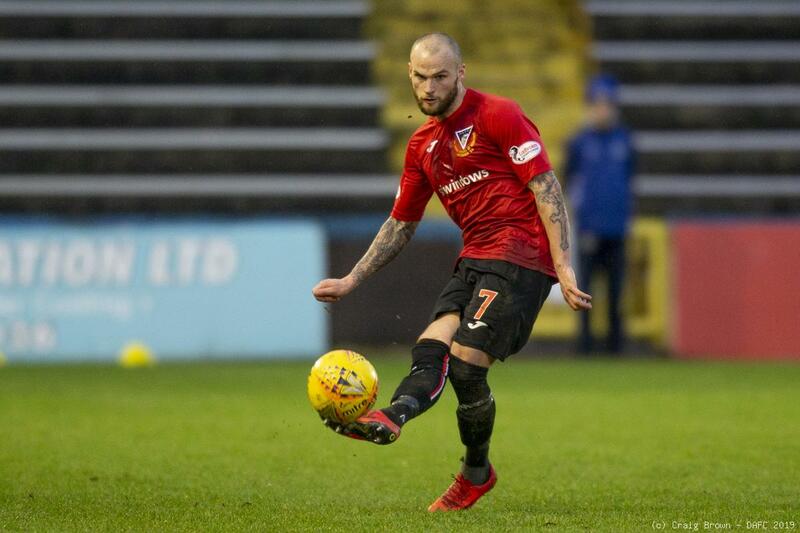 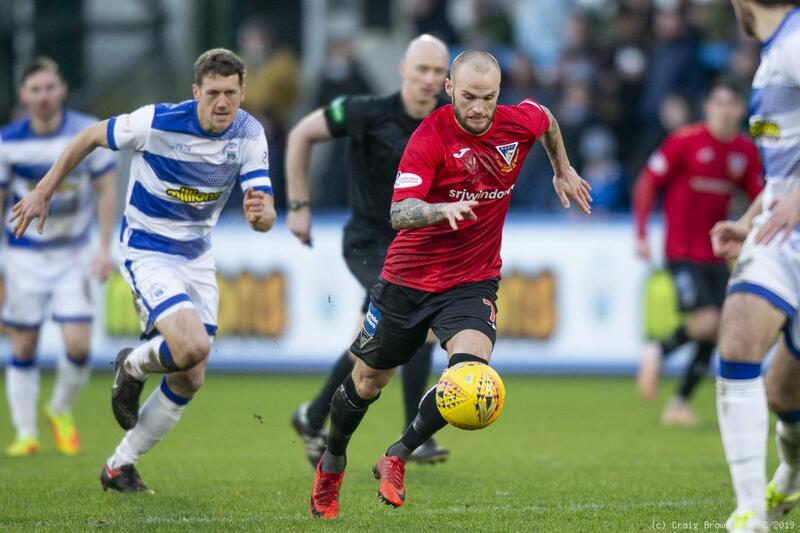 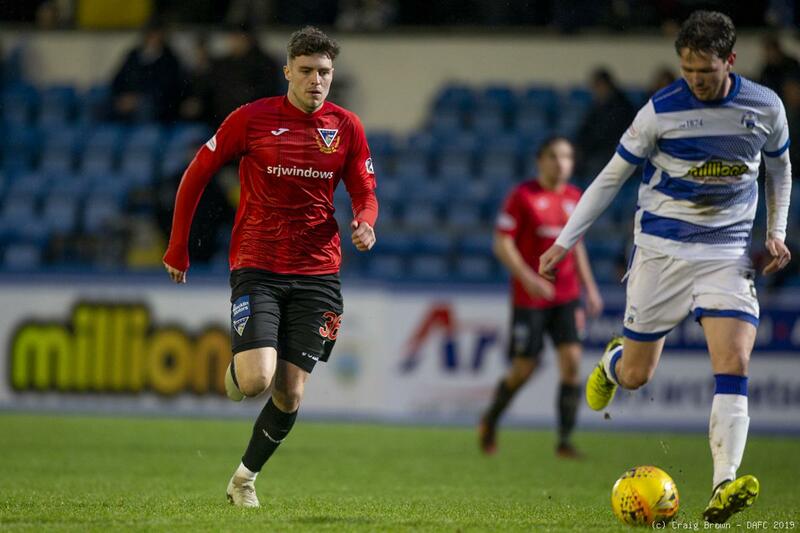 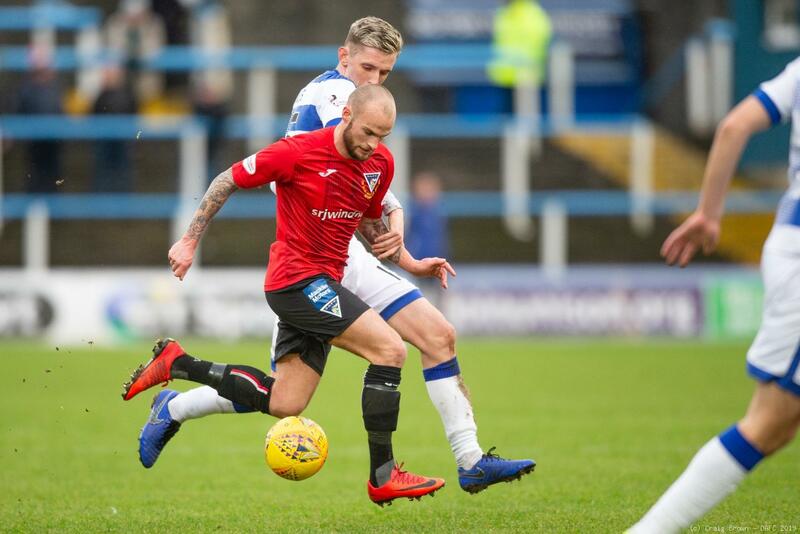 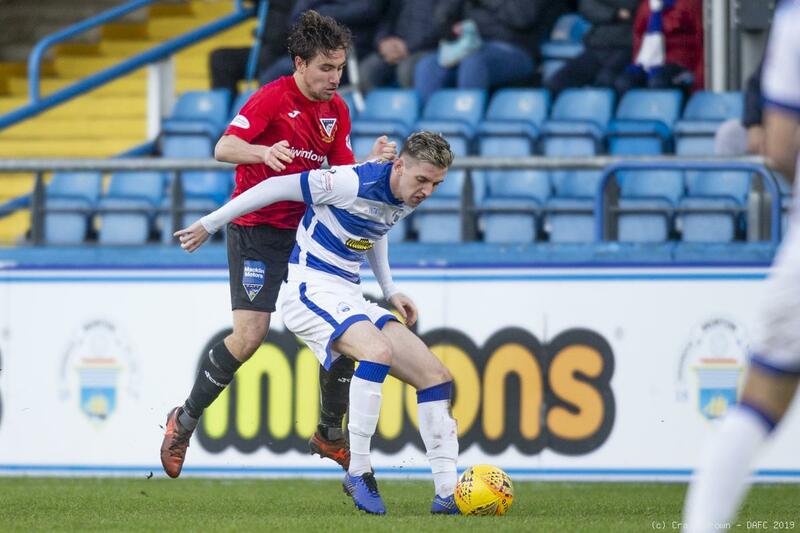 NEXT MATCH: Ladbrokes Championship: (home) v Ross County, Saturday 2nd February 2019, kick off 3.00pm at East End Park. 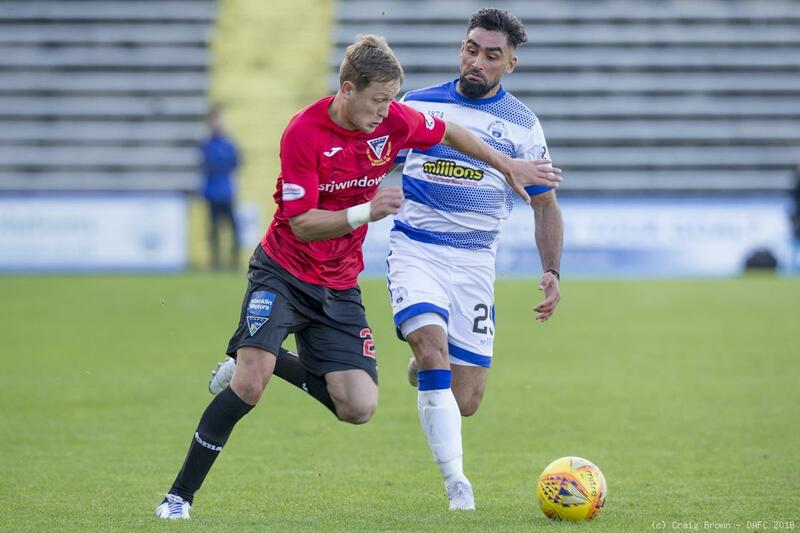 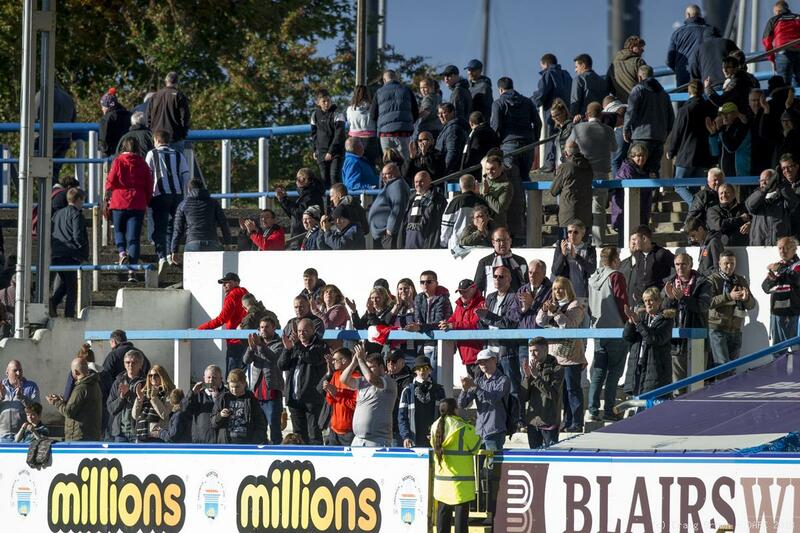 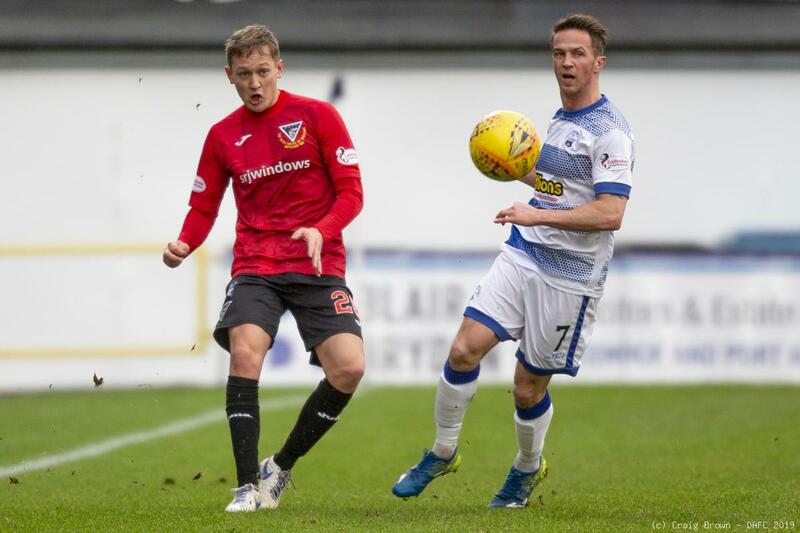 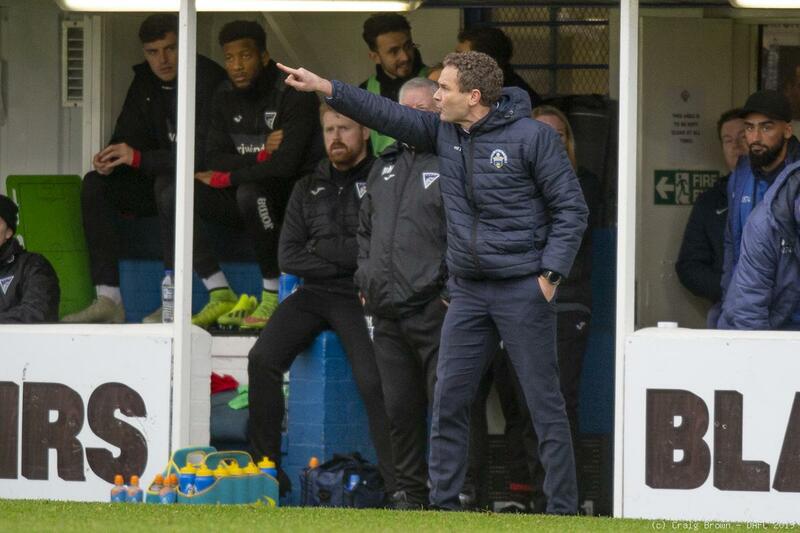 It is sixth v seventh this weekend when Jonatan Johannson’s Morton meet Dunfermline. 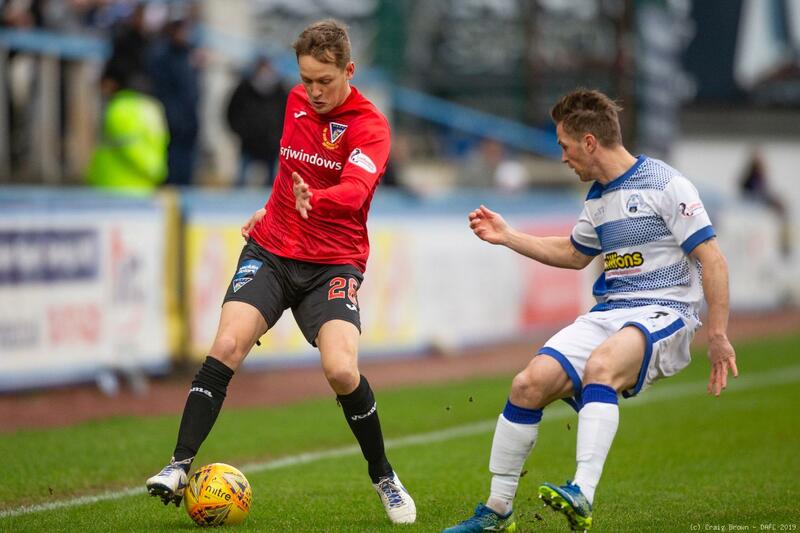 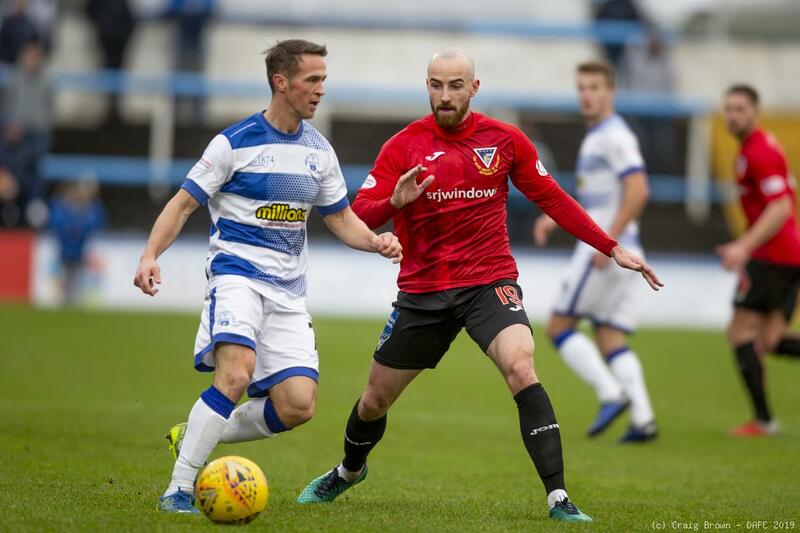 Both sides will be hurting after away defeats to League One clubs that knocked them out of the Scottish Cup on Saturday and no doubt both camps will be anxious to secure a rejuvenating win. 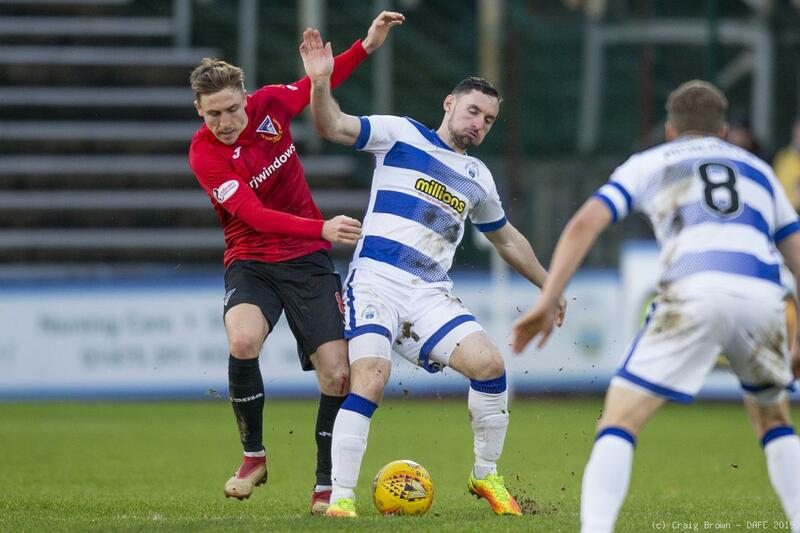 This will be the 100th league fixture between these sides with Dunfermline 45-30 ahead. 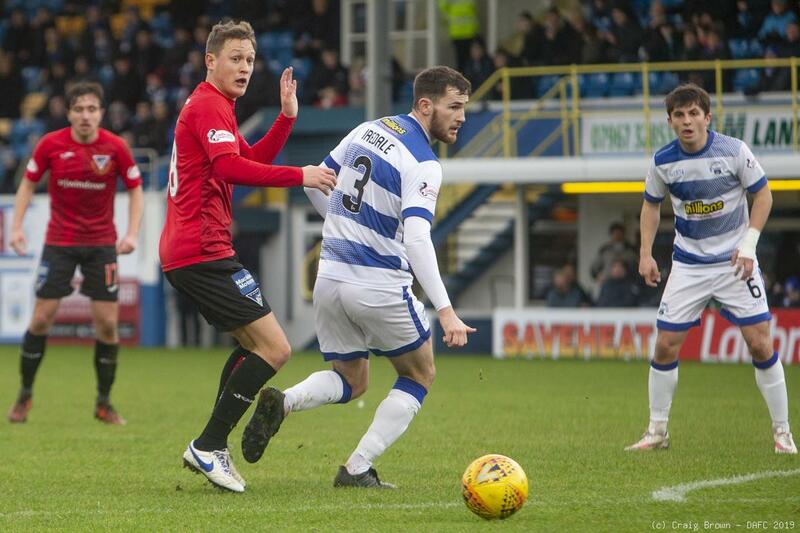 Honours are evens between the sides at Cappielow the Fifers have won just one of the last seven meetings there. 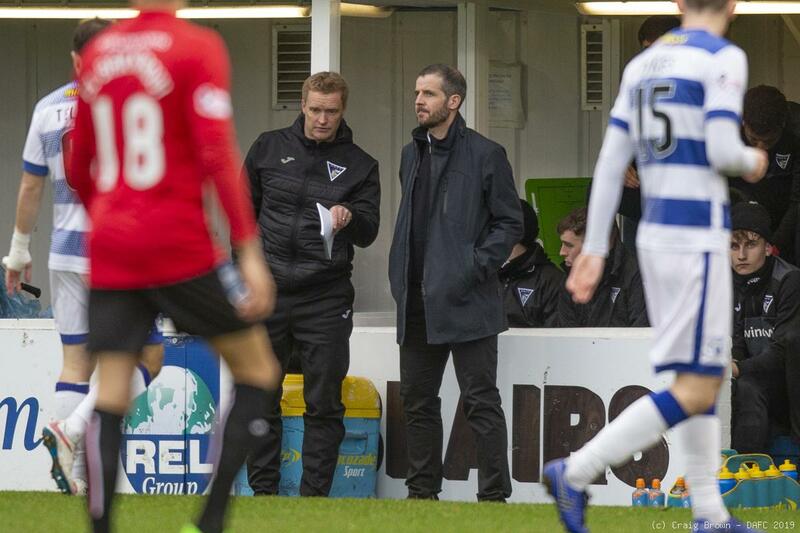 The last dozen meetings have resulted in four Pars wins, five defeats and three draws. 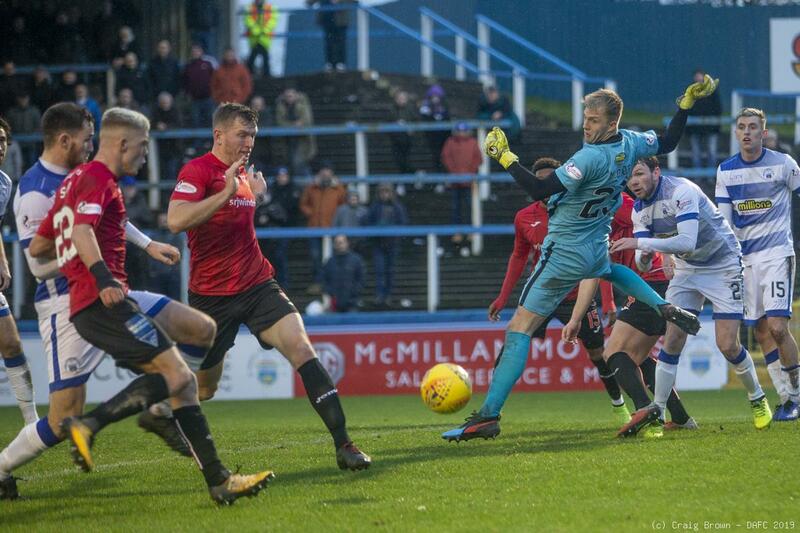 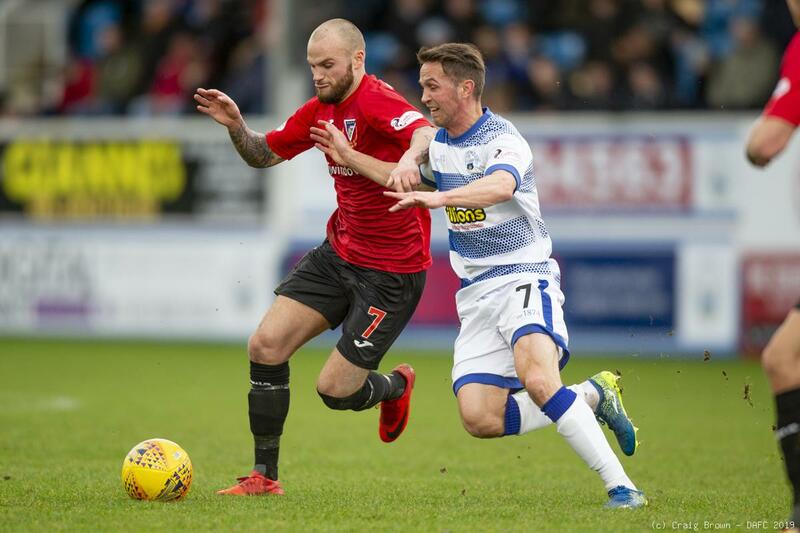 Andy Ryan’s strike midway through the second half looked to have secured a decent away win but an error eight minutes from time allowed Morton yet another late goal against Dunfermline that meant it was one point apiece from this match. 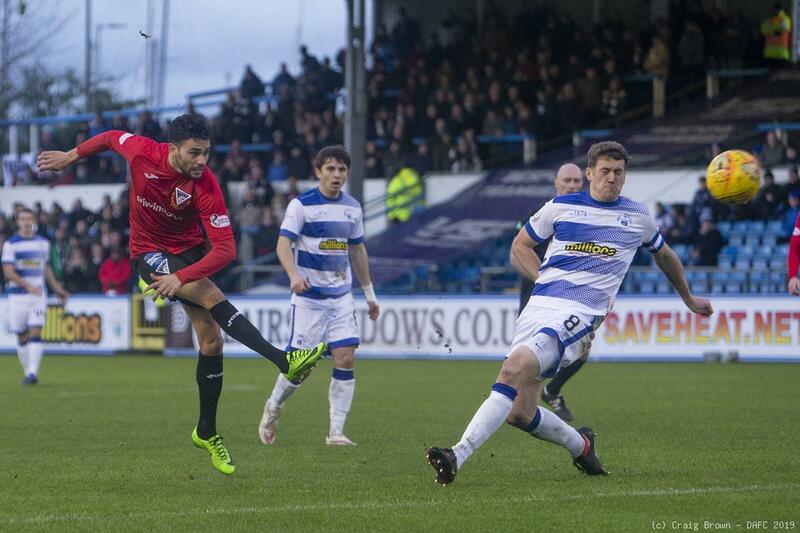 It was a fairly even first half with Ryan Scully’s save denying the Pars a half time lead. 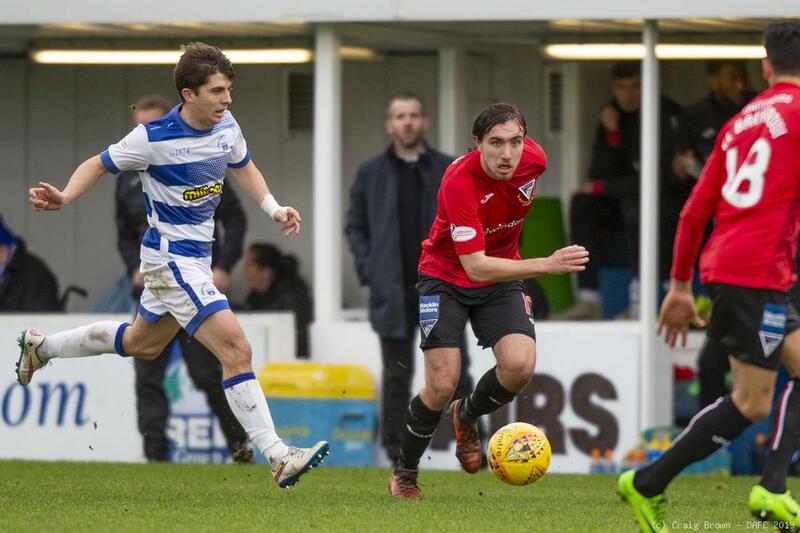 The visitors had shown greater urgency and at times linking up passes impressively. MORTON: Ryan Scully: Reghan Tumilty, Lee Kilday, Gregor Buchanan, Rory McKeown: Jim McAllister (c), Michael Tidser, Ross Maclean (Charlie Telfer 61), Jack Iredale (Scott Tiffoney HT): Denny Johnstone, Bob McHugh (Gary Oliver 72). 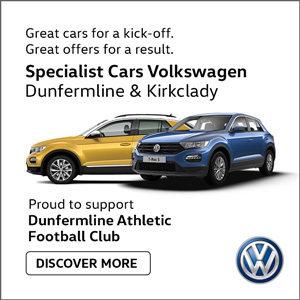 SUBS NOT USED: Kerr Waddell, Ruaridh Langan, Ben Armour, Derek Gaston (GK). 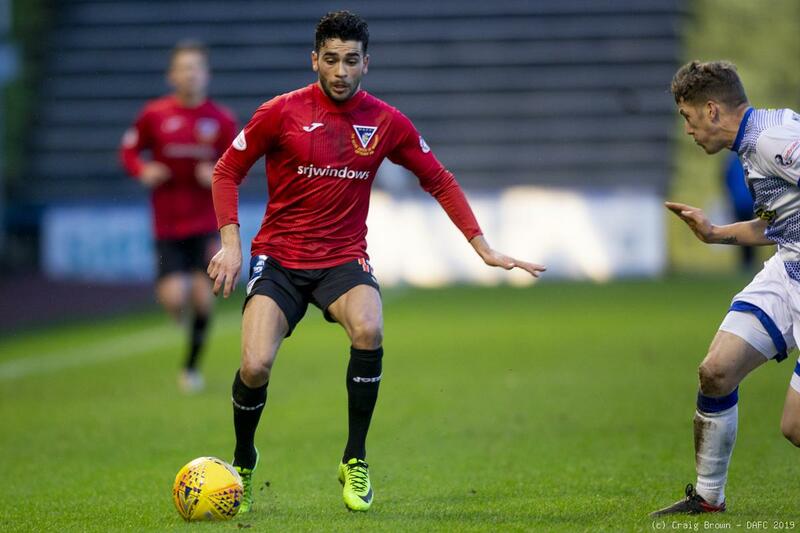 DUNFERMLINE: Lee Robinson: James Craigen, Lee Ashcroft (c), Mark Durnan, Jackson Longridge: Louis Longridge, James Vincent, Malaury Martin, Aidan Connolly: Andy Ryan (Myles Hippolyte 82), Faissal El Bakhtaoui. 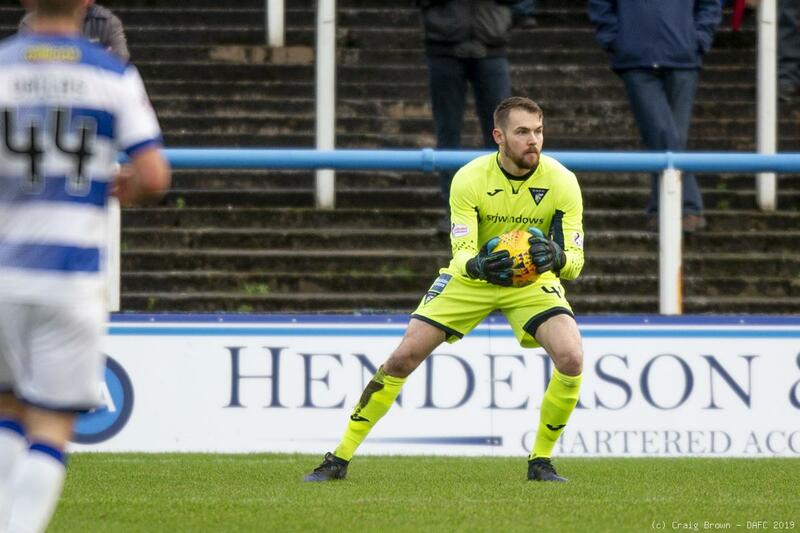 SUBS NOT USED: Tom Beadling, Joe Thomson, Stuart Morrison, Lewis McCann, Robbie Muirhead Cammy Gill (GK). 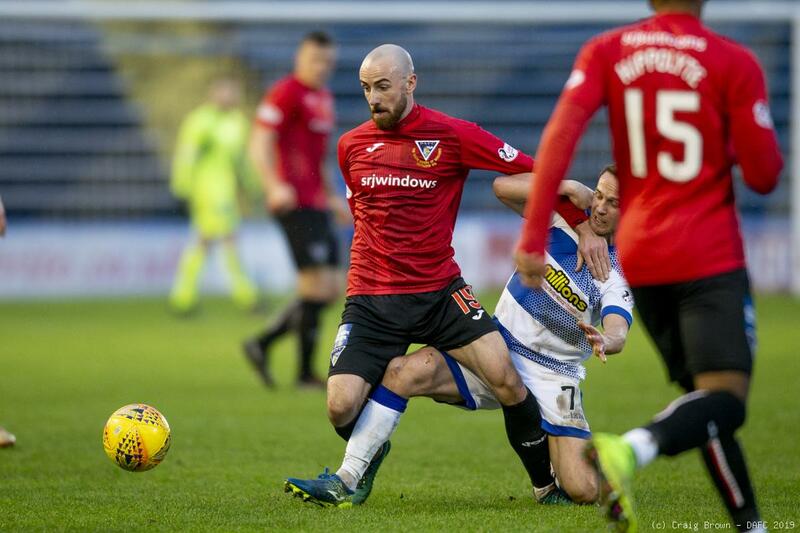 In their last six league matches since defeating Morton 3-0 at East End Park on 1st December, the Pars have drawn three, won one and lost two. 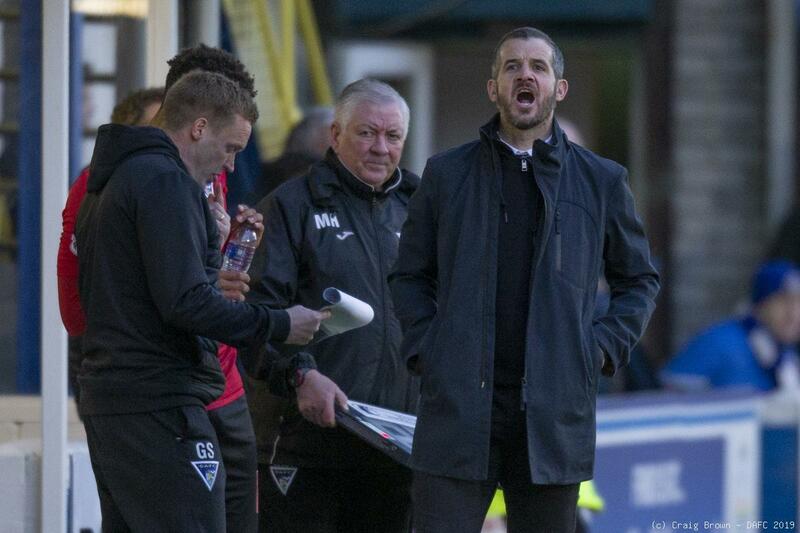 This season away wins in the league have only come at Falkirk, Alloa and Tannadice. 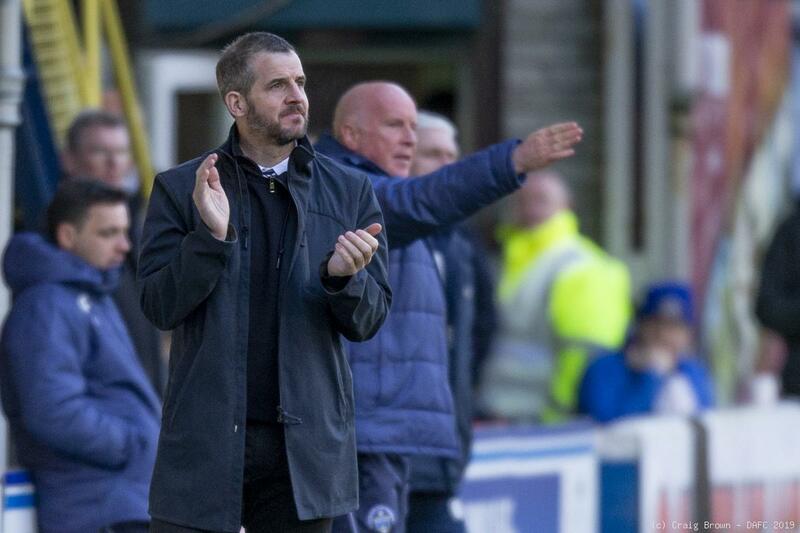 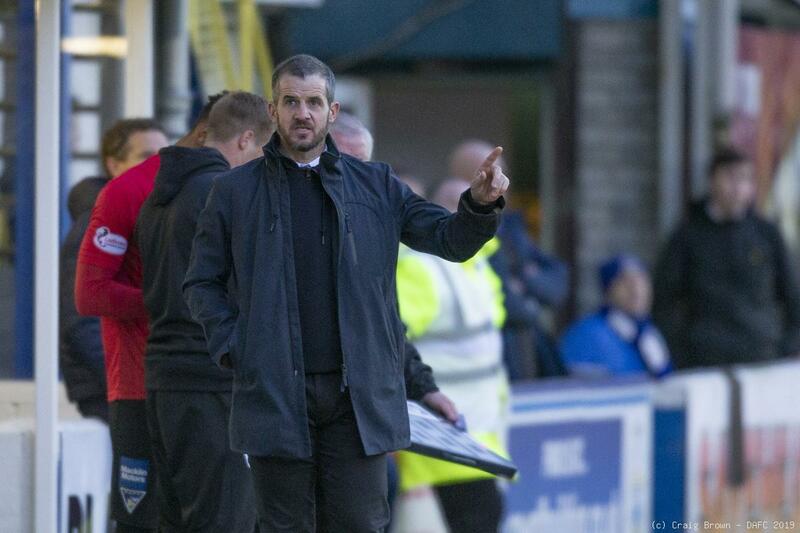 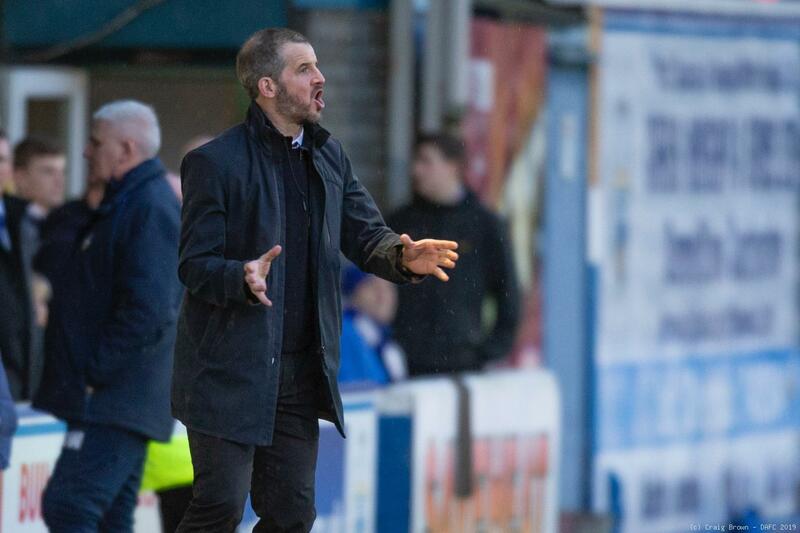 Morton have only won two league games since the first Saturday in November. 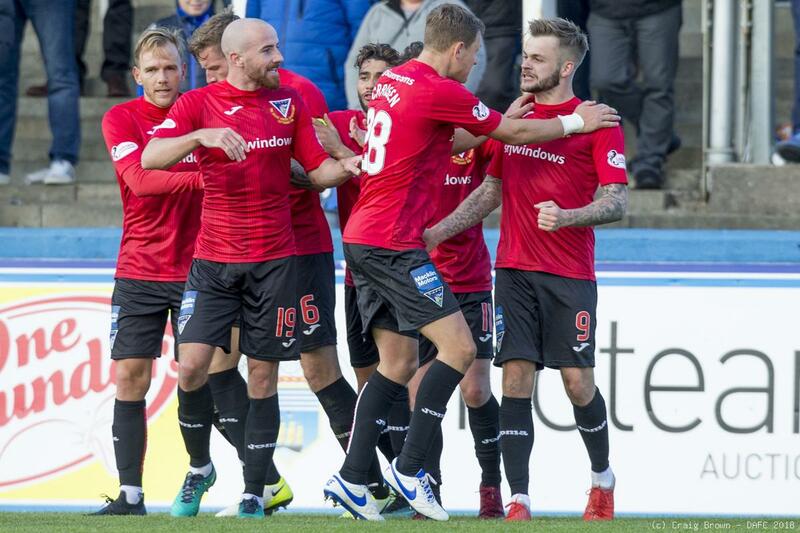 In their last nine league games they have scored just six times. 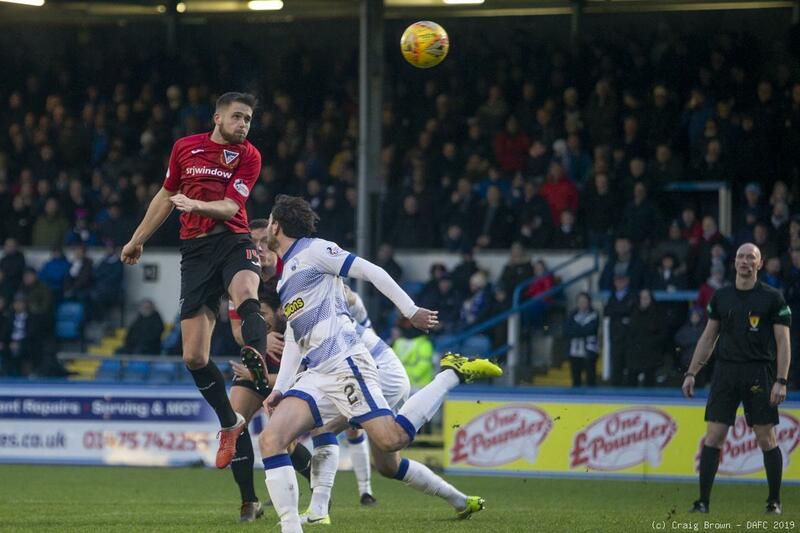 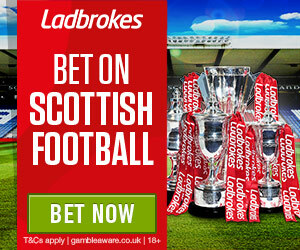 Dunfermline have scored six in their last three league matches but they have failed to score in four of the last six. 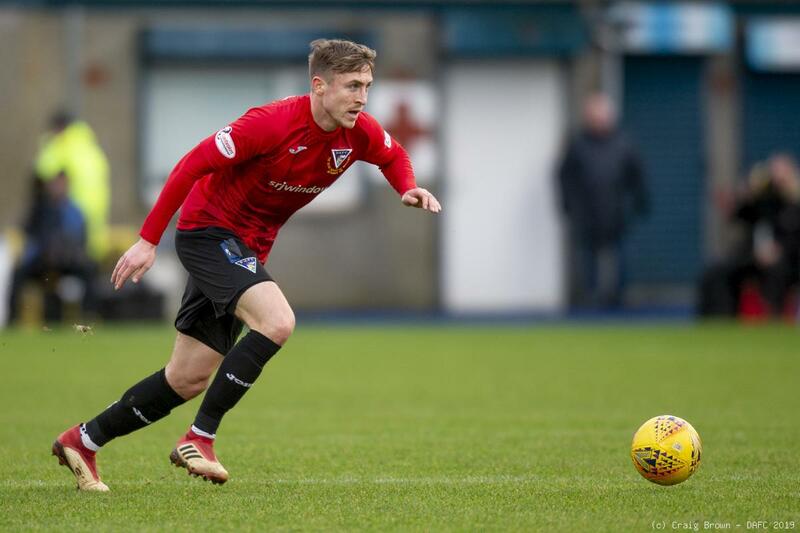 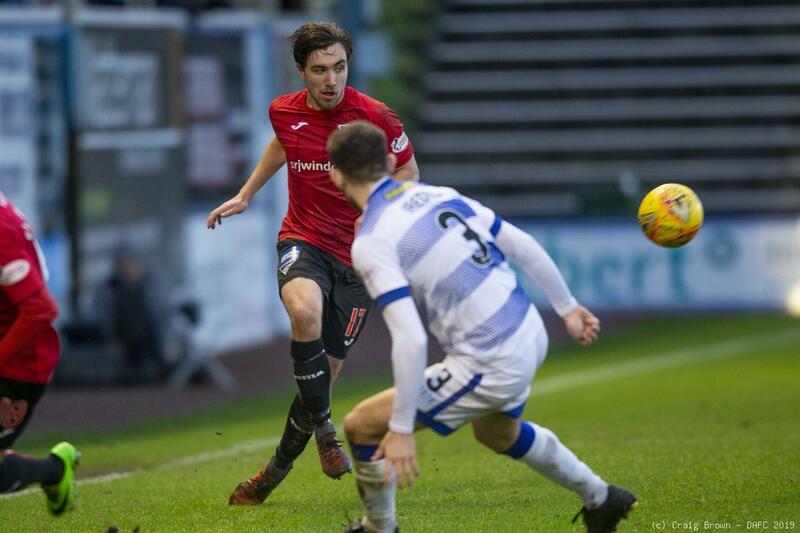 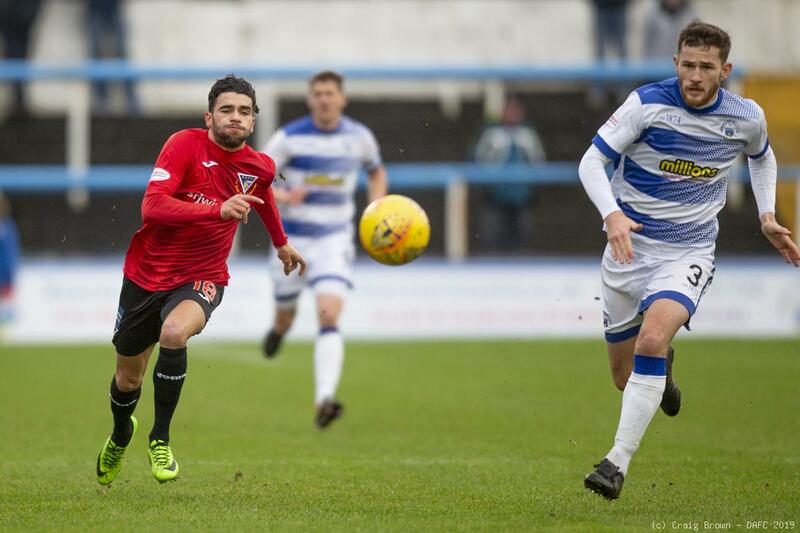 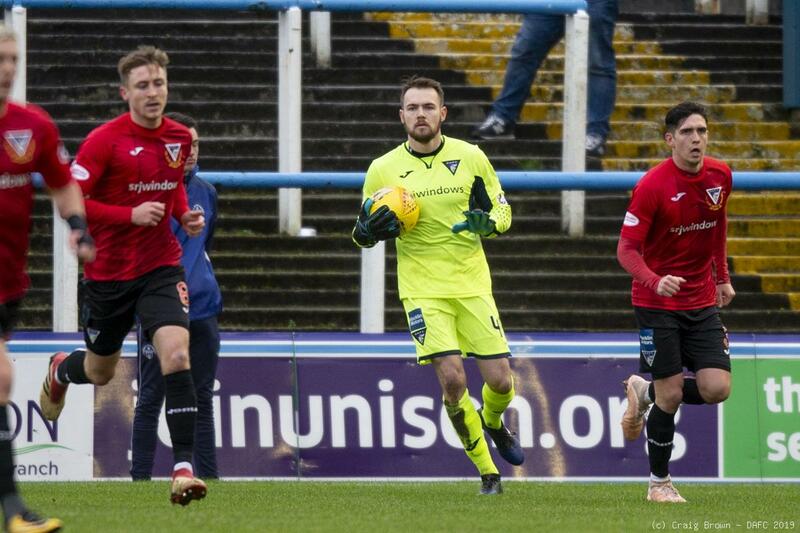 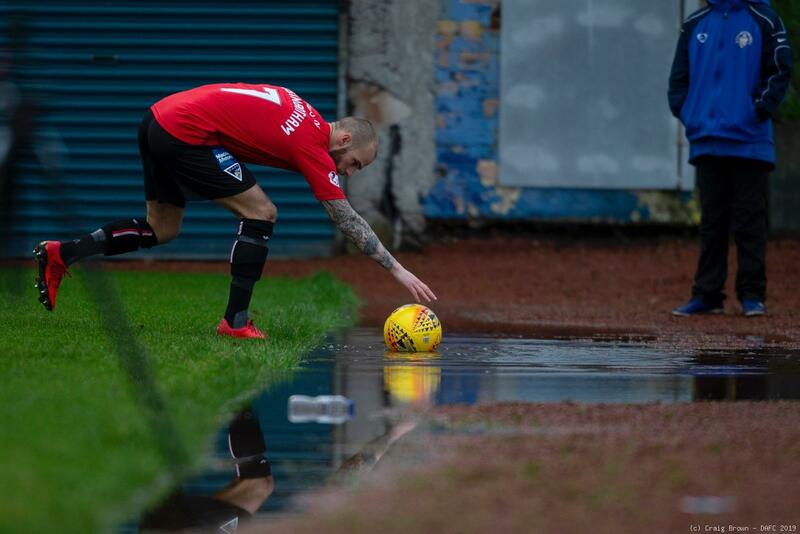 DUNFERMLINE (v Raith Rovers): Lee Robinson: James Craigen, Lee Ashcroft (c), Danny Devine, Jackson Longridge: Tom Beadling: Myles Hippolyte (Mark Durnan 57), Joe Thomson, James Vincent, Kallum Higginbotham (Matthew Todd 90): Faissal El Bakhtaoui (Robbie Muirhead 71). 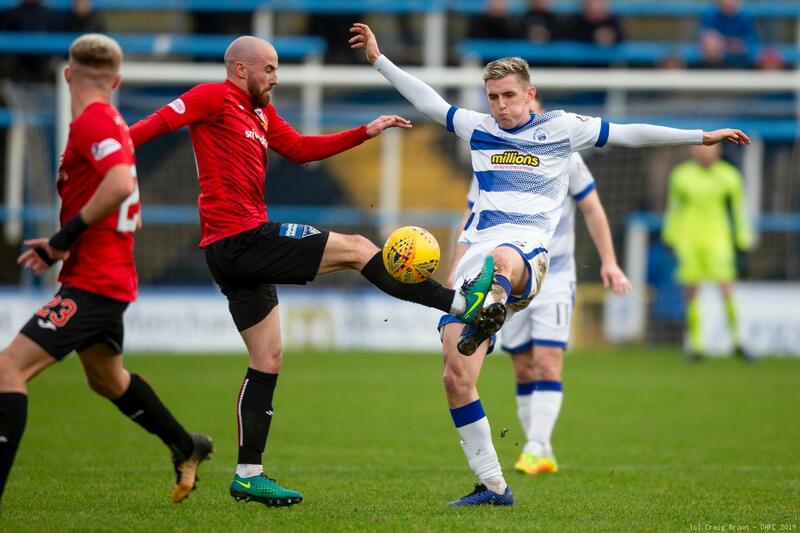 MORTON (v East Fife): Derek Gaston: Lee Kilday (Gary Oliver 83), Gregor Buchanan, Kerr Waddell, Jack Iredale: Reghan Tumility, Chris Millar, Michael Tidser (Jim McAllister 72), Dylan Dykes (Charlie Telfer 77), Robert Thomson, Bob McHugh. 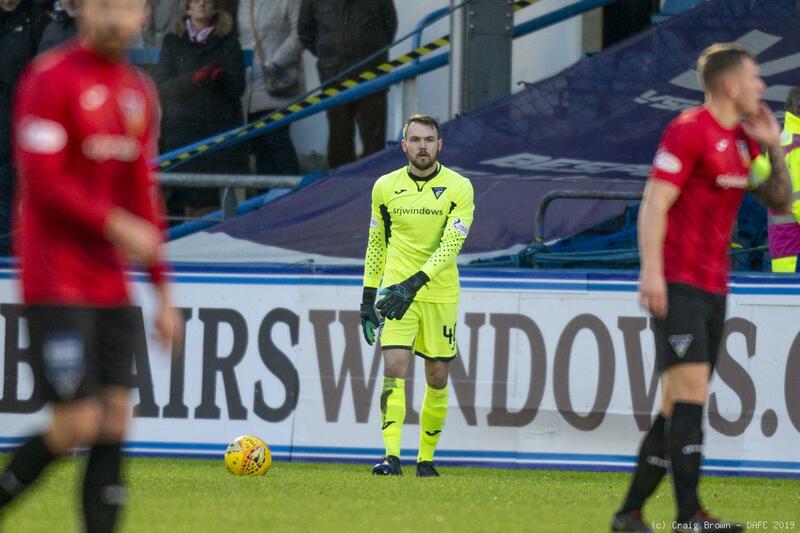 SUBS NOT USED: Rory McKeown, Reece Lyon, Jack Purdue (83), Ryan Scully (GK).